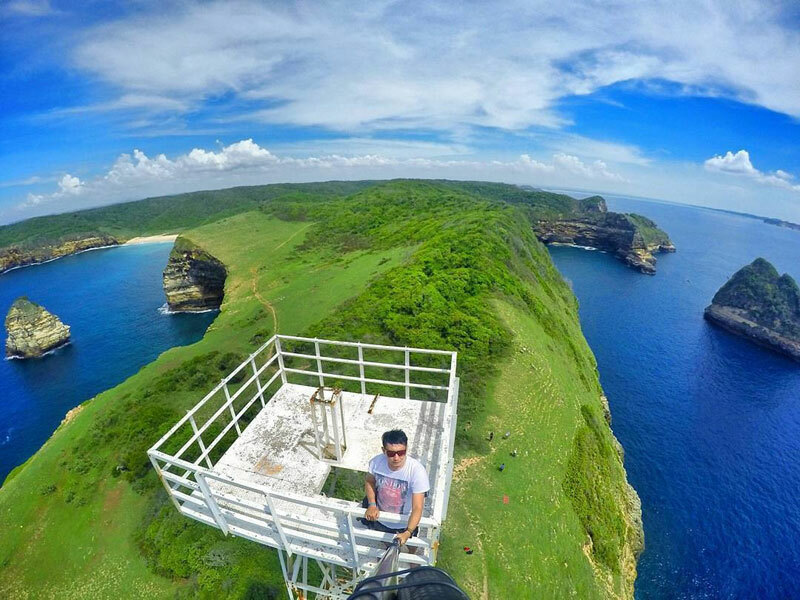 Indonesia > Lombok > Ultimate guide to Lombok: 37 Extraordinary things to do you never knew existed! 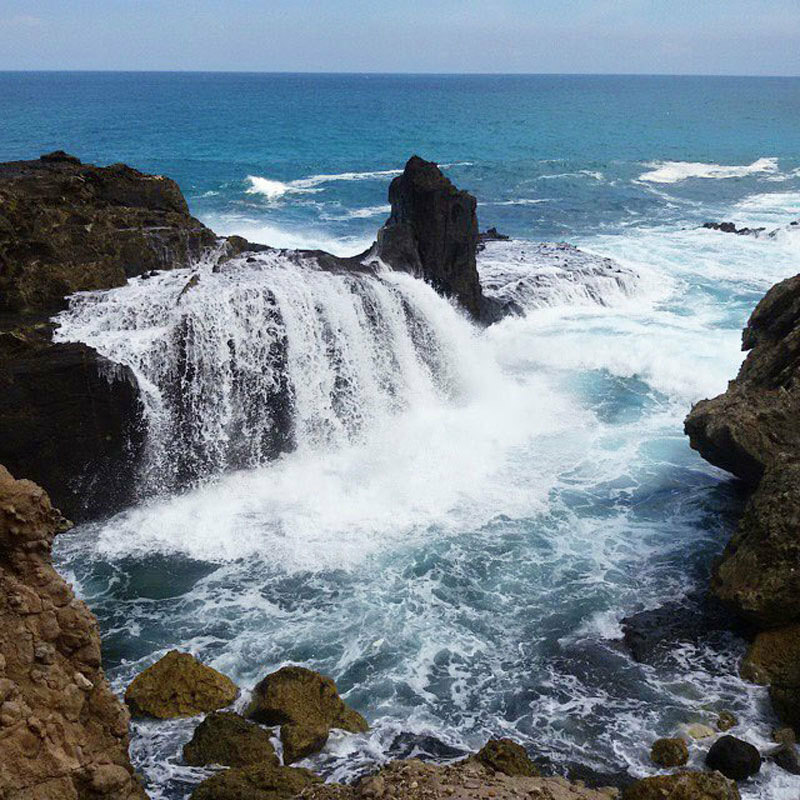 Lombok is like a charming lover you kissed and you won’t tell anyone. This is a secret you would only share with your close friends. 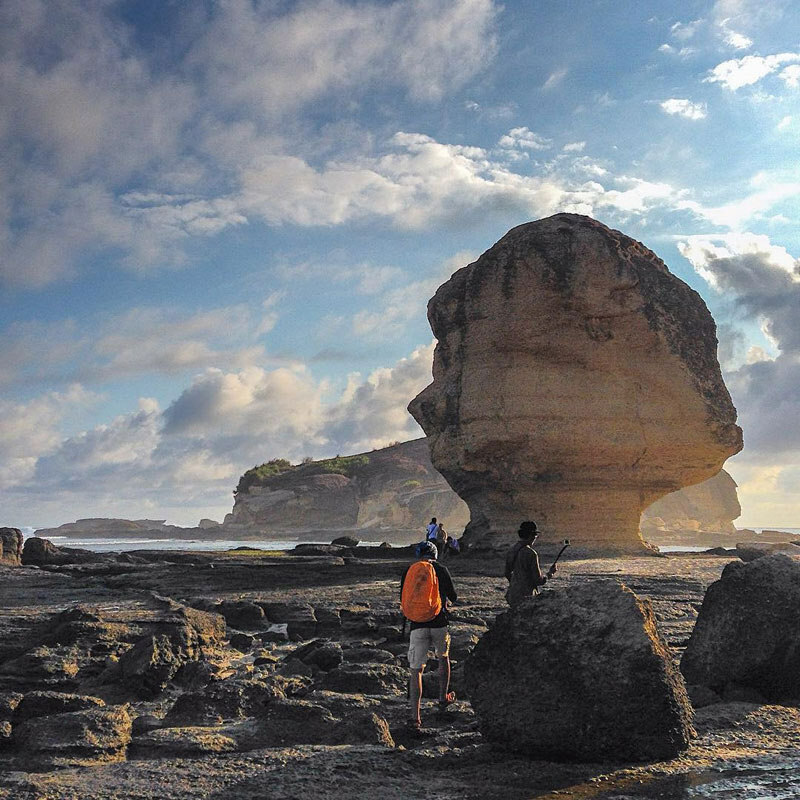 Lombok provides a kaleidoscopic experience that is easy to start, difficult to finish but impossible to forget. 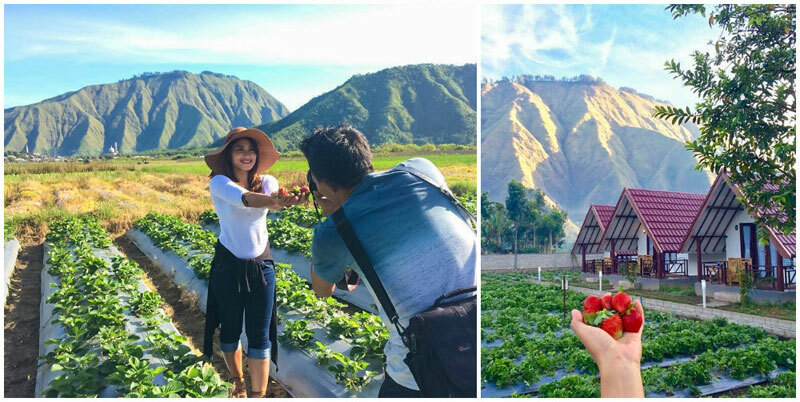 Known for its fiery temperament with active volcano Mount Rinjani, do you know it also has a sweet spot for romantic getaways and surreal pink beach? 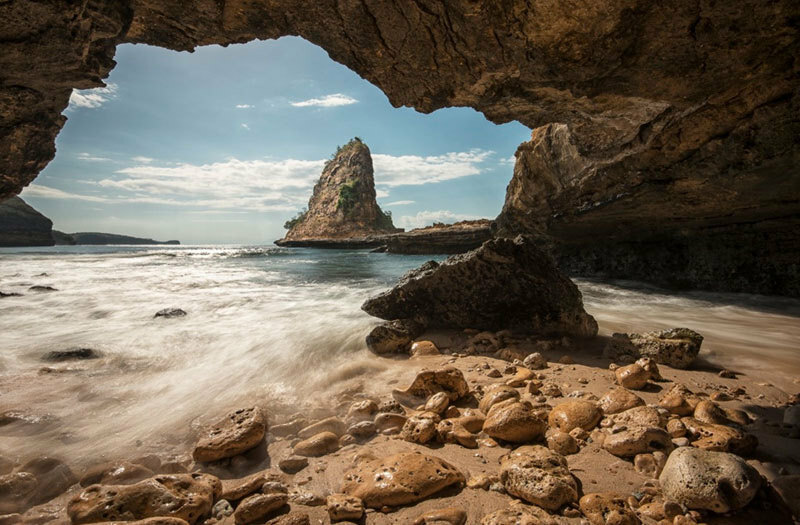 If Bali is an international superstar, Lombok is a shooting star you won’t want to miss. Avoid peak season at all costs! Or it will cost you… hur hur. 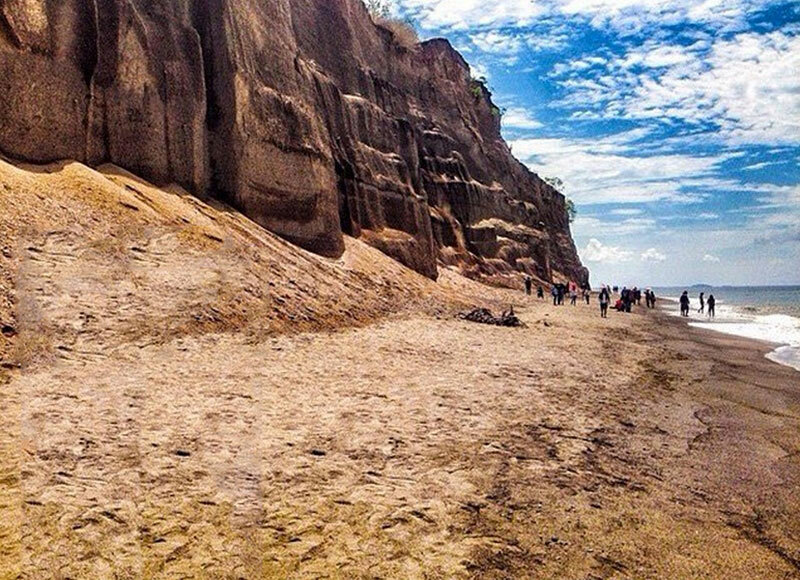 Lombok’s Dry Season (read: peak season) is from May to September, while the Wet Season runs from October to April. Christmas and New Year are, naturally, also popular holiday periods. If you don’t want to lose a huge chunk of your future retirement fund, run away as fast as you can when you see these dates. 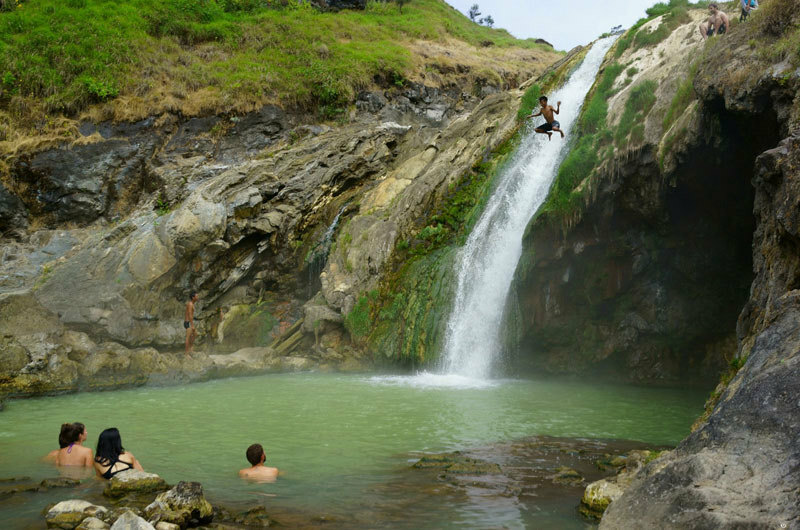 Contrary to popular belief, Lombok’s Wet Season isn’t really that bad at all, so don’t worry about having to choose between your money or sweating like a pig. 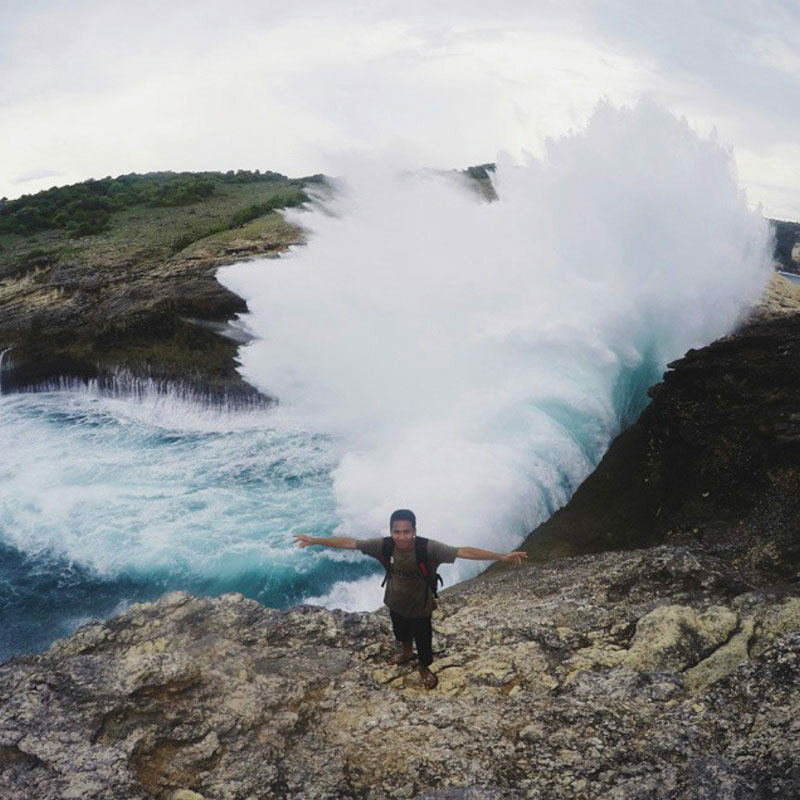 If you really have to go to Lombok during the peak season (i.e. you have children in tow or you don’t take advice well), be sure to book your tickets a million years in advance. 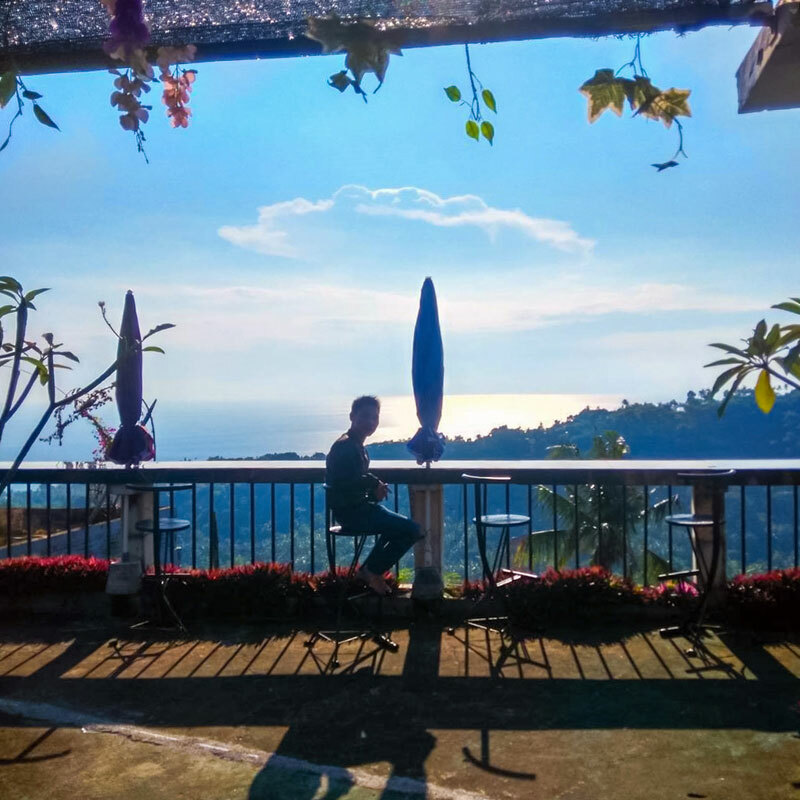 Okay, maybe not that early, but do try to book as early as possible, because there are not a lot of flights that go to Lombok, and you don’t want to end up sitting on a plane wing or clinging to an engine. 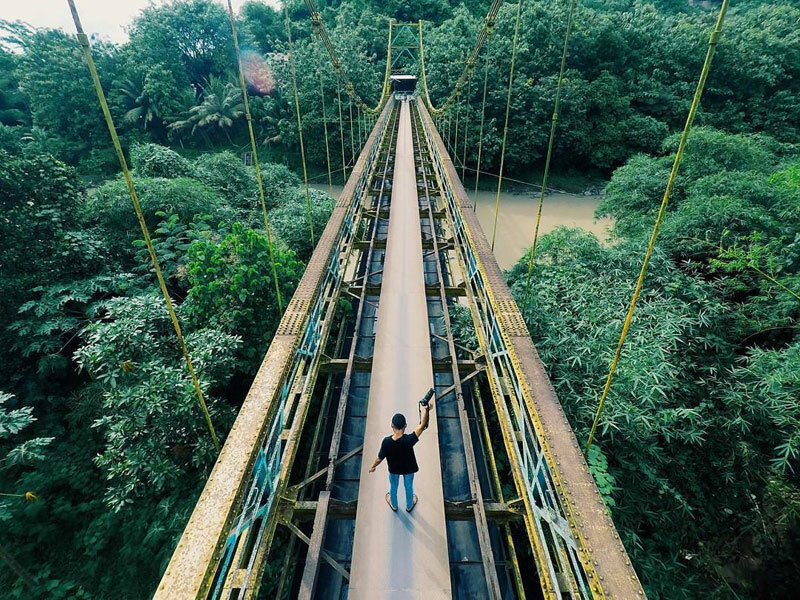 You may have to cross a sprawling field and navigate past steep rocks just to get here, but the view from Lingkoq Datu will make you forget all about your physical endeavours. 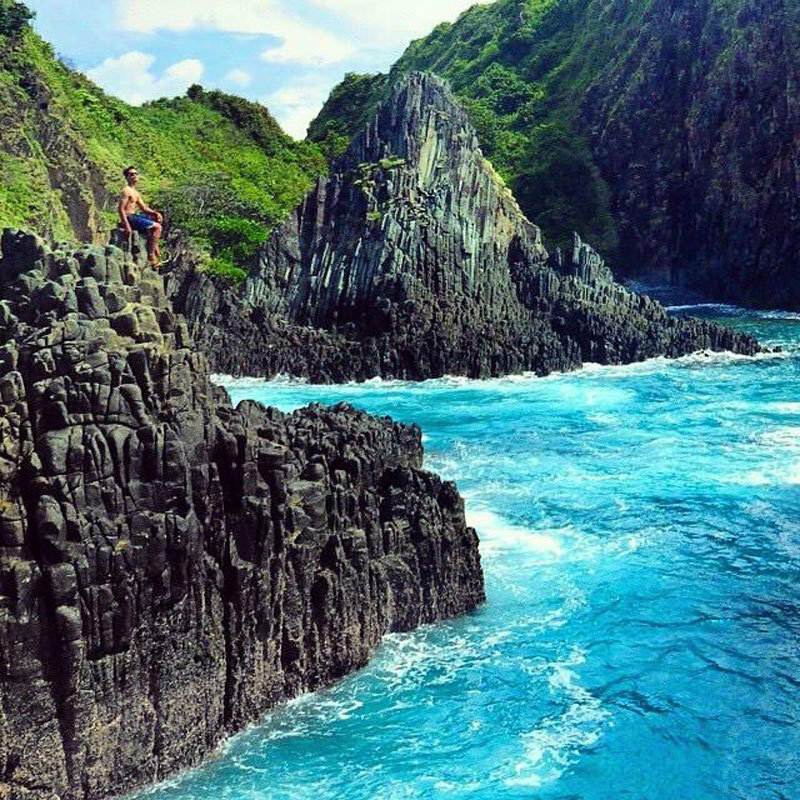 Located near Penyisok Beach, Lingkoq Datu is a cliff that overlooks the seemingly endless seaside. 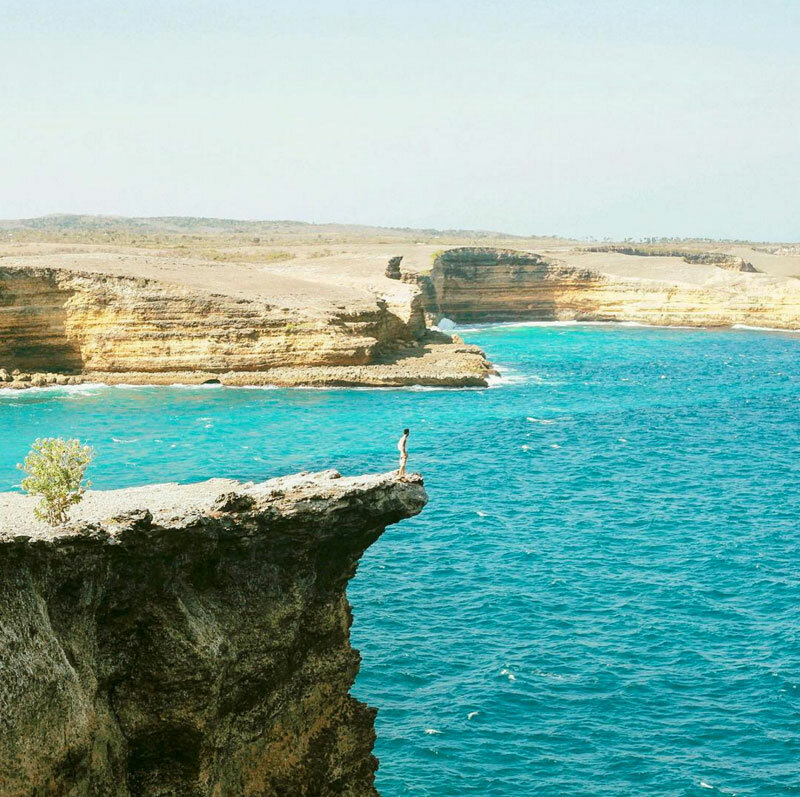 As you approach the cliff’s edge (be careful when do you so! 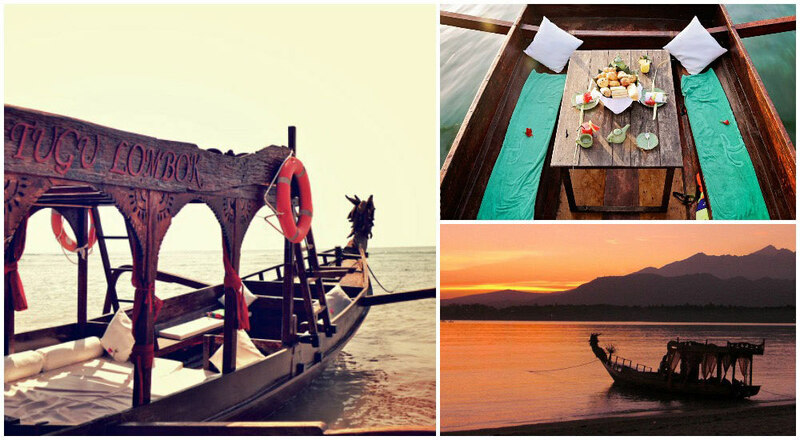 ), you’ll want to close your eyes and throw your arms out to let the ocean breeze wrap you in a cool embrace. 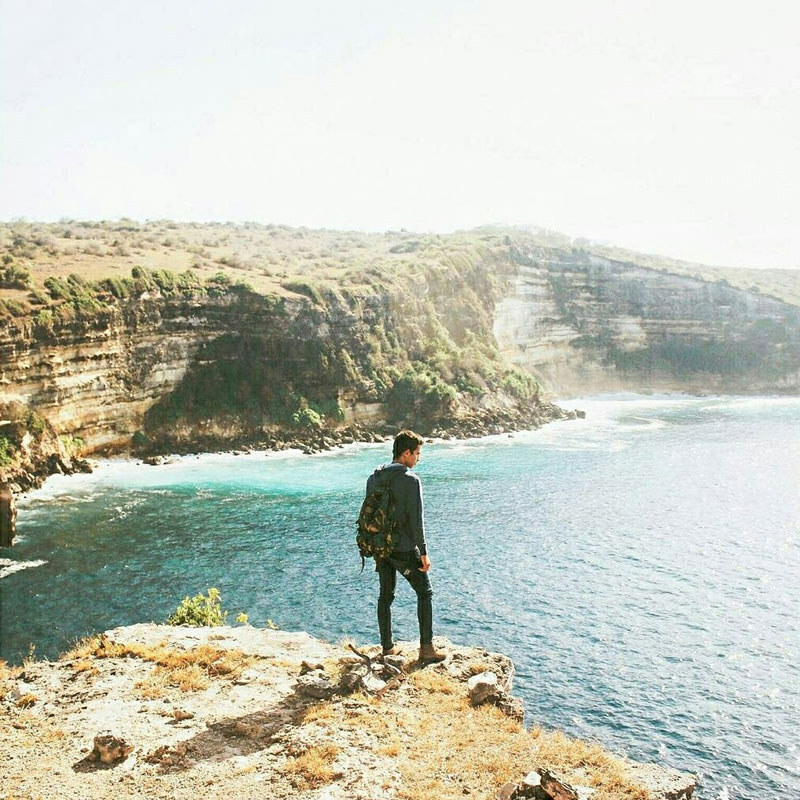 Yes the view here is almost too good to be true, but the sensation of standing on a cliff’s edge with the sun on your skin may just feel like ecstasy brought on by the power of nature. 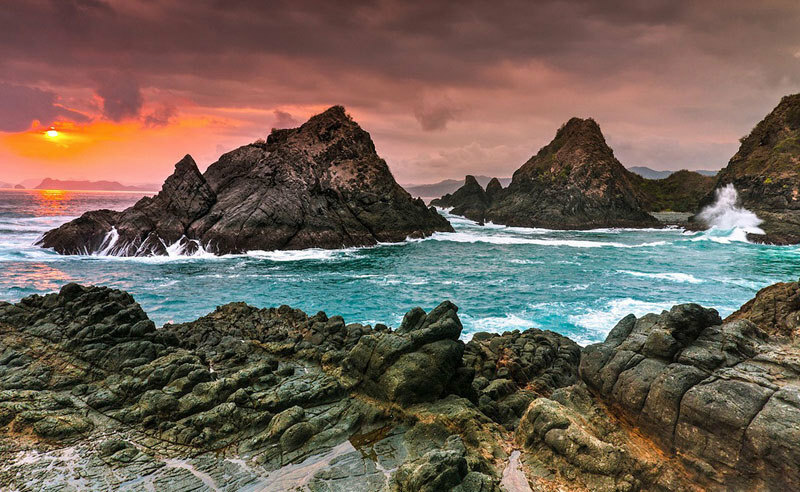 After your moment of nirvana, head down to Penyisok Beach for a relaxing walk along the soft sands before making your journey back. 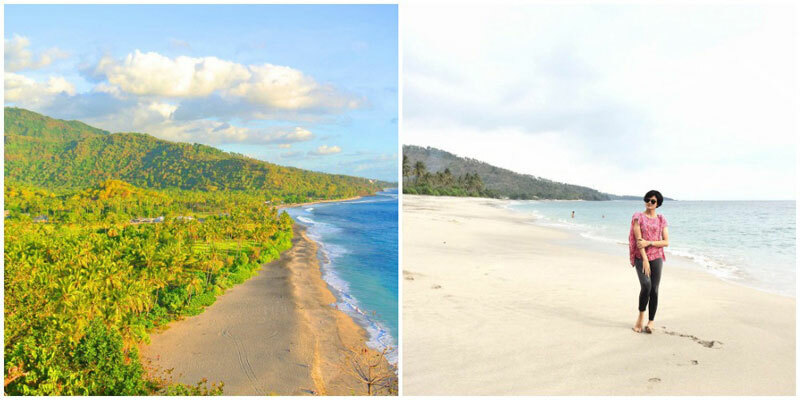 If you know about Lombok, you know about the beaches. 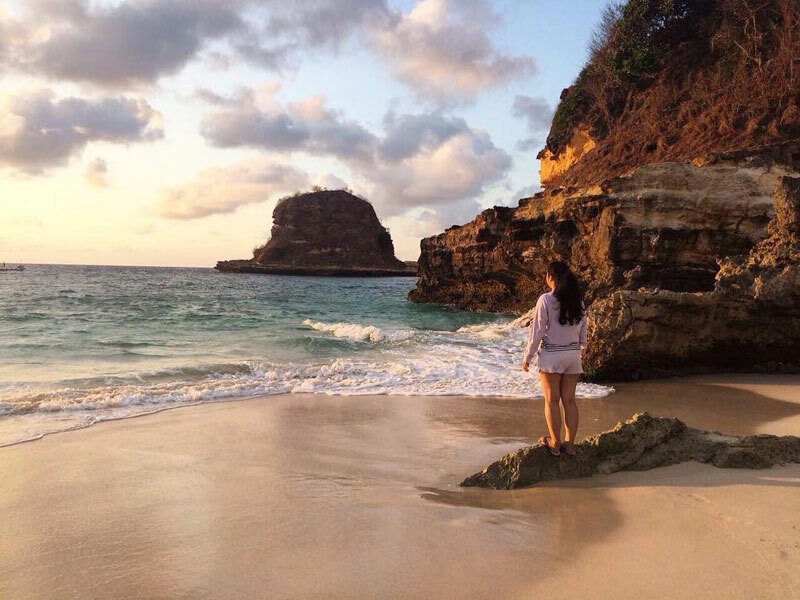 You’ve probably heard of Pink Beach (yes, it has pink sand), Senggigi Beach (where a number of the resorts are), and Kuta Beach (where cows roam free), but those popular beaches aren’t all Lombok has to offer. 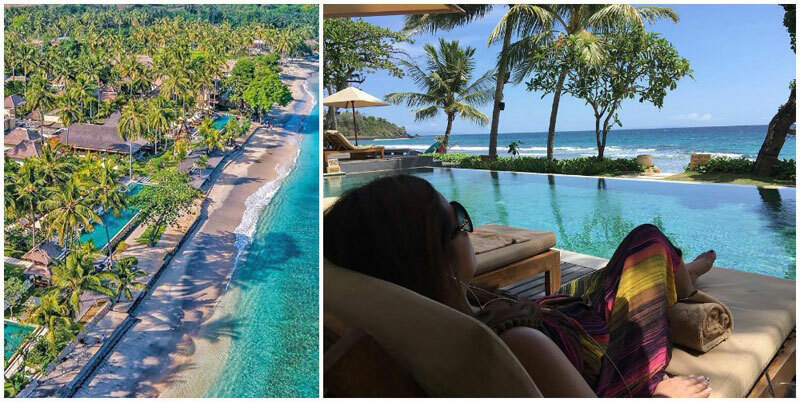 Setangi Beach looks like something of a dream paradise, especially from the right vantage point. 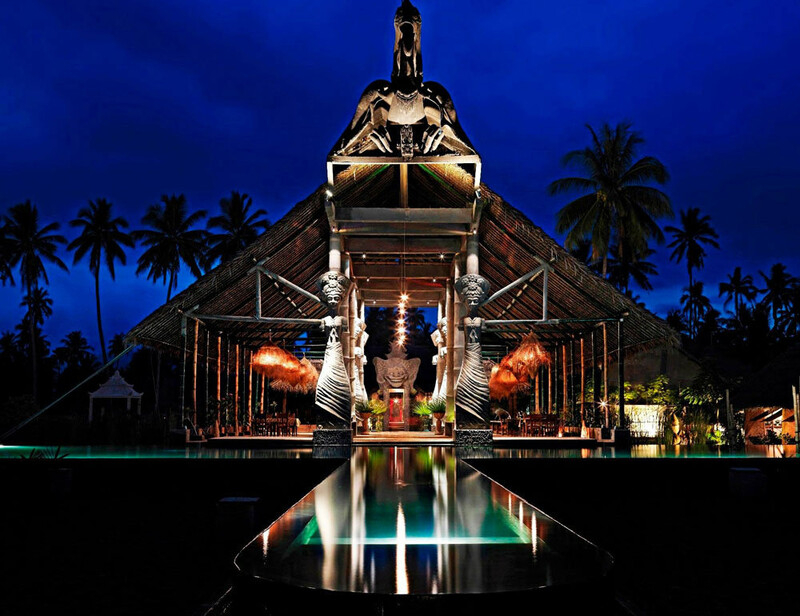 The coastline comprises of fields of coconut palms leading up to soft sand and secluded seas. The beach here appears rather untouched; rarely will you see another person around as you take a walk along the water’s edge. 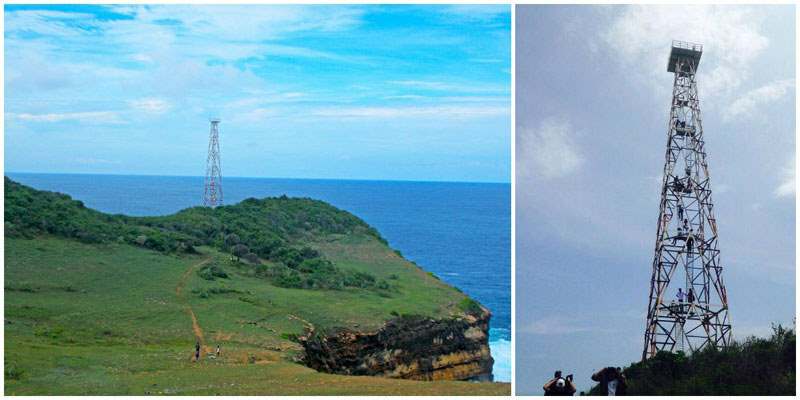 Though it has many names (Setangi, Telu and Tiga Beach), everyone agrees that it’s simply dazzling here. 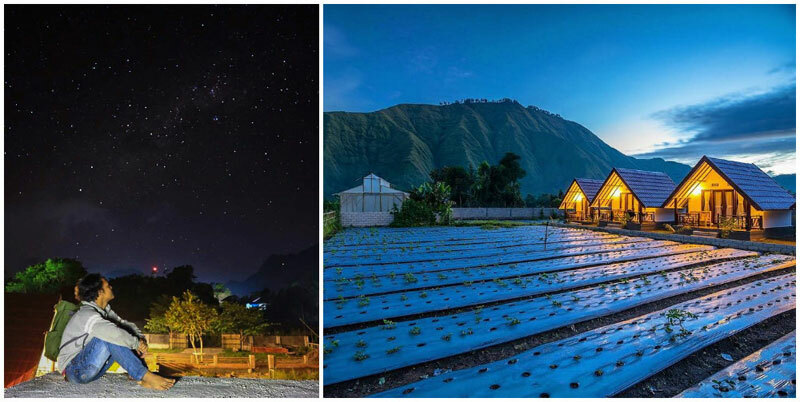 If you’re feeling brave, head to Villa Hantu (Ghost Villa) for the best view of Setangi. No, we’re not kidding! Spooky as it sounds, don’t let the name discourage you. This viewpoint is nothing more than an unfinished hotel that got its name from the remaining barebone construction. Over time, visitors have added their touch to the walls, such as artwork and graffiti, which makes the scene slightly spookier. 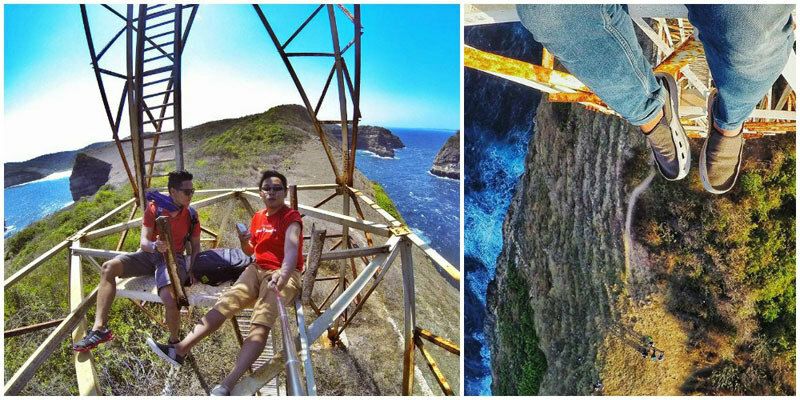 If you can push past the fear though, you’ll come away with some fun photos and a gorgeous view. Entrance fee: There’s no fee to enter Villa Hantu, but you may have to pay for parking nearby. 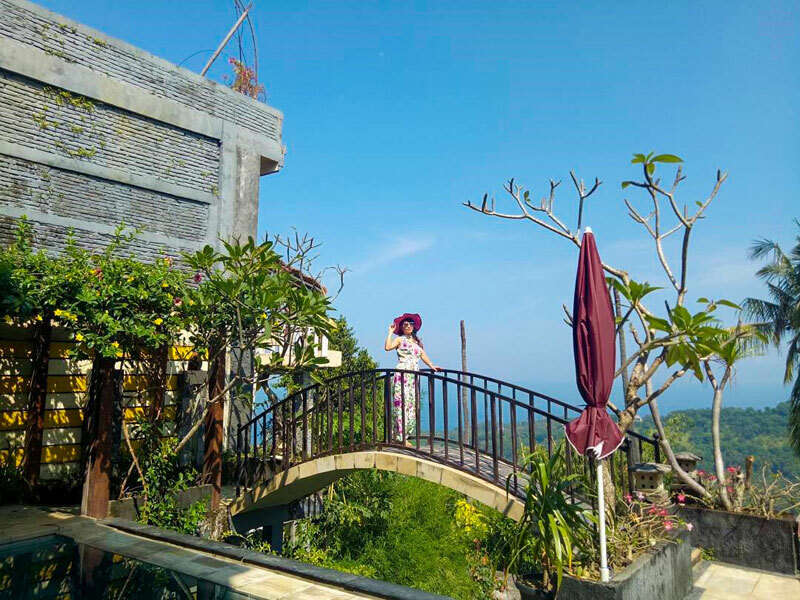 Getting there: Villa Hantu is located on Jalan Raya Senggigi, before Nipah Beach (if you’re coming from Mataram), on the left side of the road. 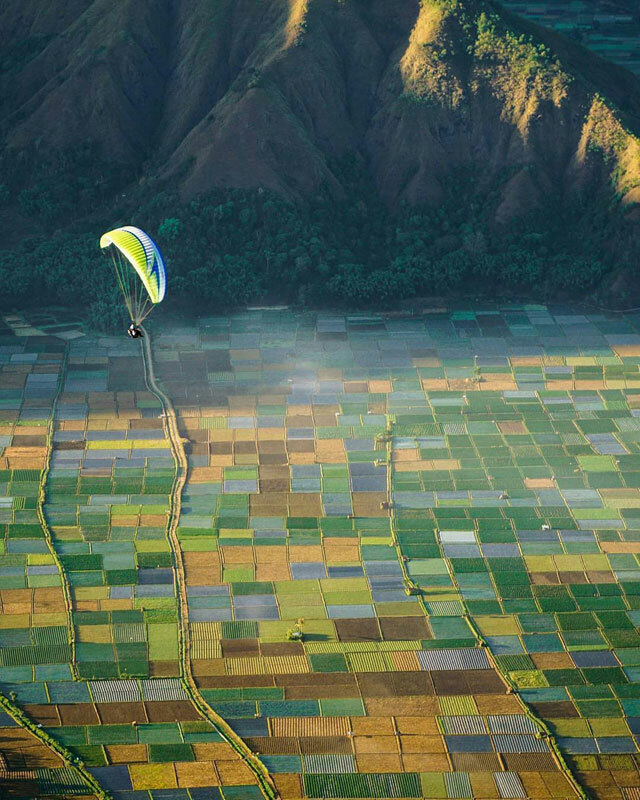 Have you planned your trek to Rinjani? 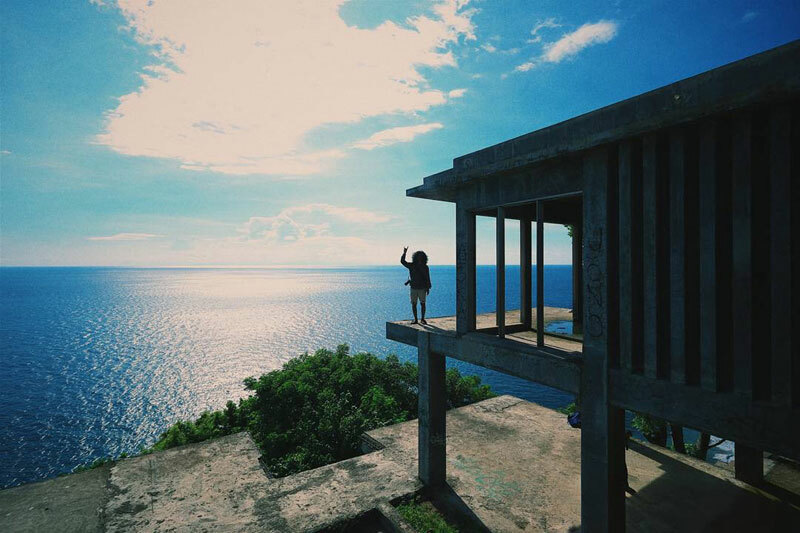 If so, you’ll want to make sure that you add Penimbungan Waterfall Viewpoint to your itinerary. 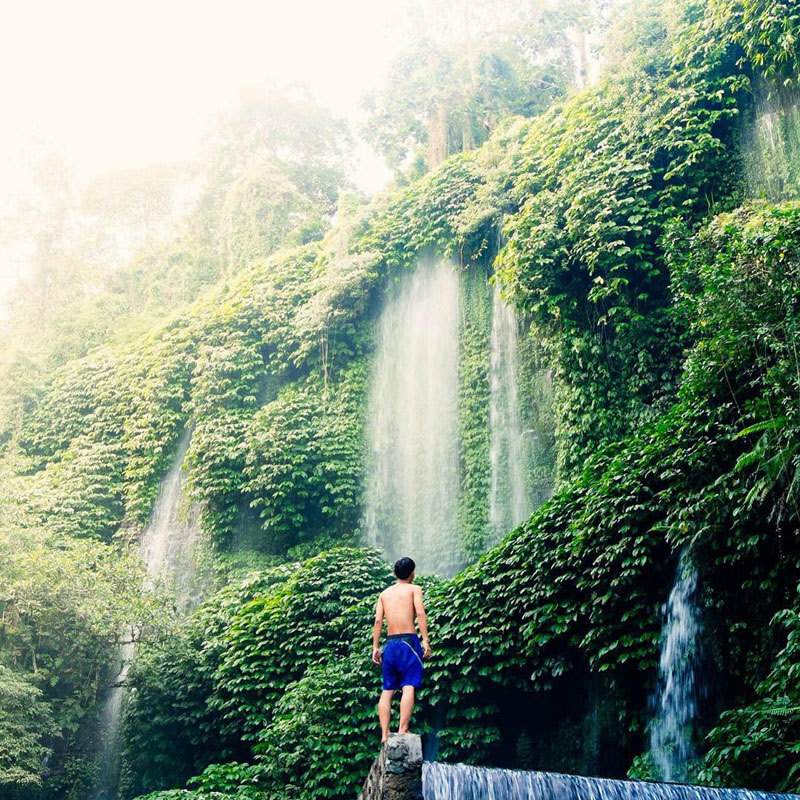 Though the summit of Rinjani at sunrise is the ultimate goal of your hike, the view of the Penimbungan Waterfall from the Torean entrance almost rivals Rinjani’s beauty. The pathway from Torean is literally the road less traveled as it can be compared to the entrances at Sembalun and Senaru on the way up to Rinjani. 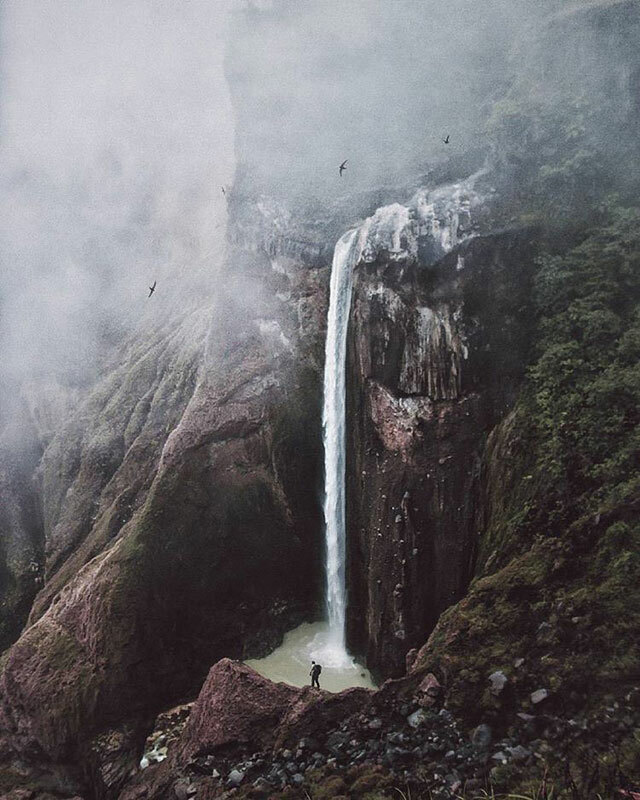 And don’t mention Penimbungan Waterfall, few tourists even know about the Torean entrance itself. 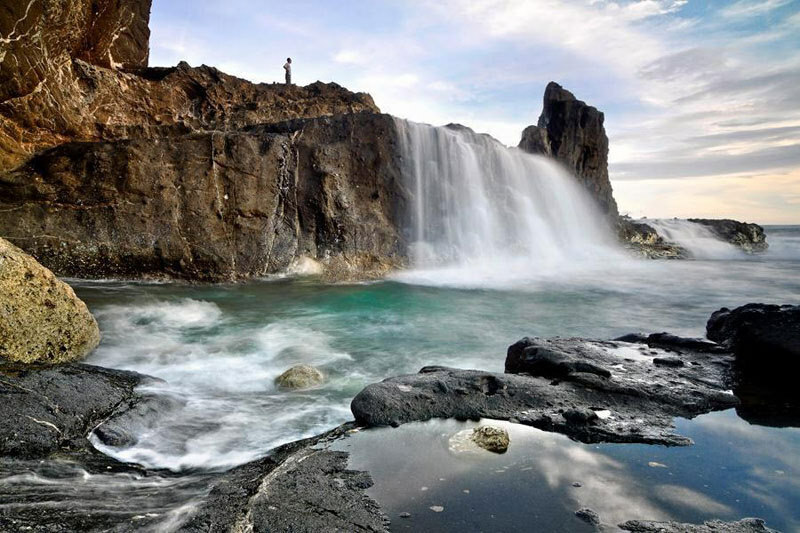 After a two-hour trek from the Torean entrance, you’ll reach the viewpoint of the 75-metre-high waterfall. 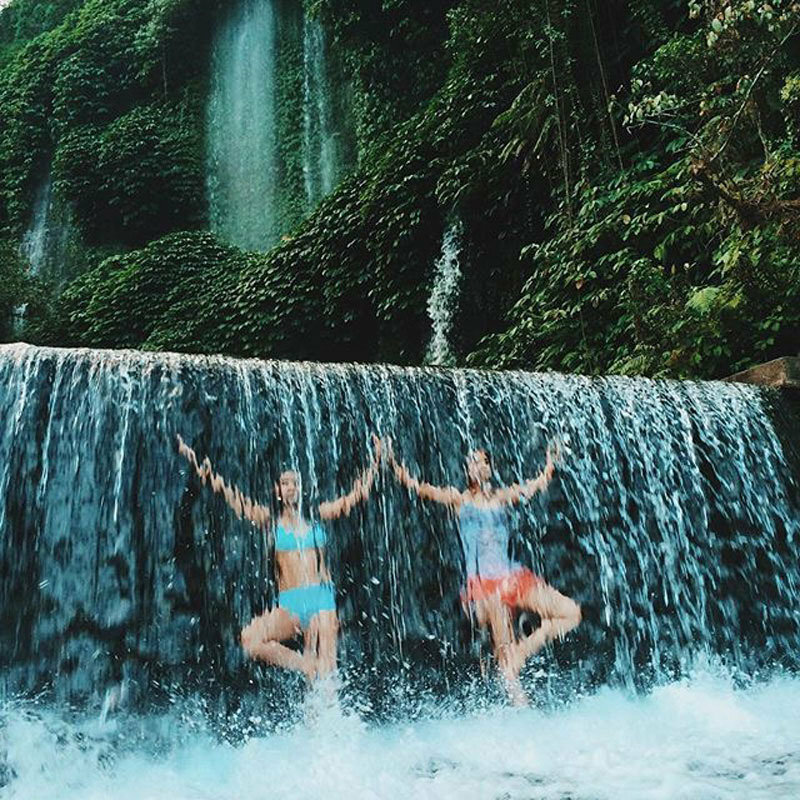 And as you set your eyes on the rush of cascading waters and the surrounding view, you’ll feel as though you’ve gone back in time. You could even imagine a dinosaur passing through the jungle beneath you! 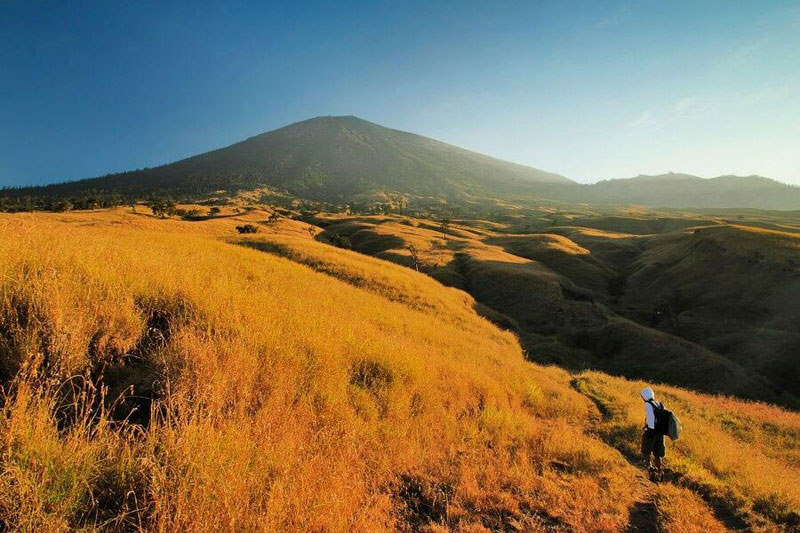 Getting there: From the Torean entrance to Rinjani, it takes about two hours to reach the viewpoint. To ensure your safety, consider embarking on your trek with a certified guide. 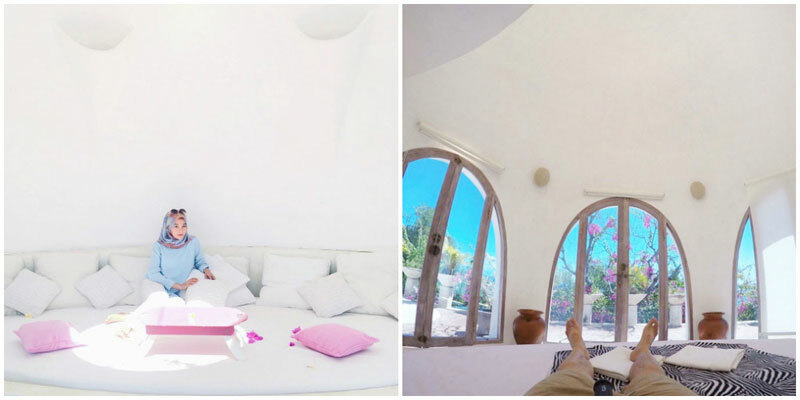 Imagine staying in dome villas overlooking the sea, or in a luxurious over-large tent for a special glamping experience. 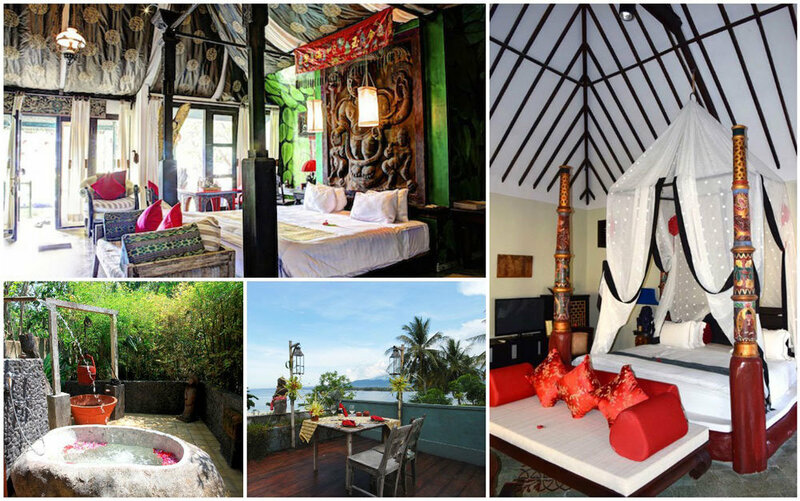 How about a hotel steeped in traditional heritage, where everything from rooms to restaurant to spa is decked and decorated with rich cultural influences? 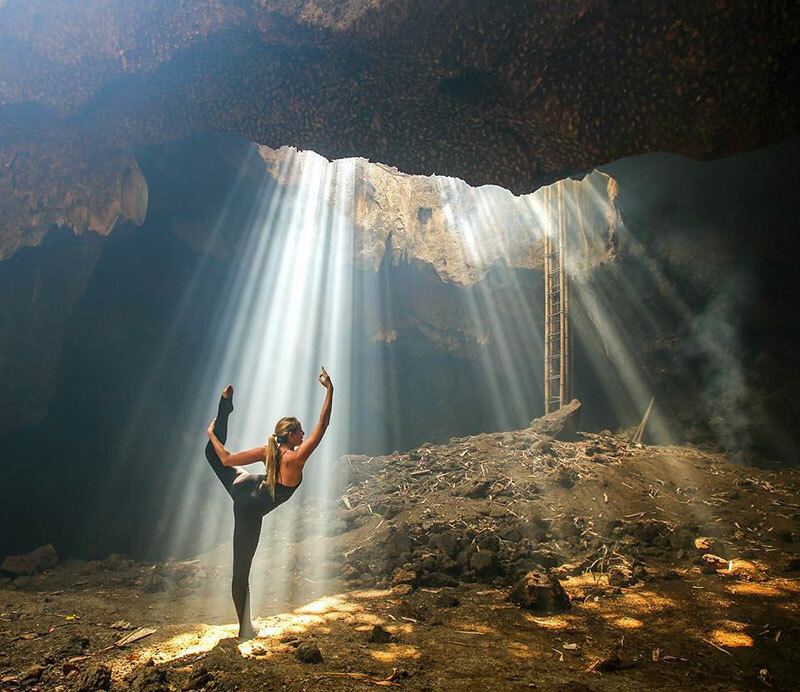 We all love a unique experience, especially when it comes to accommodation! 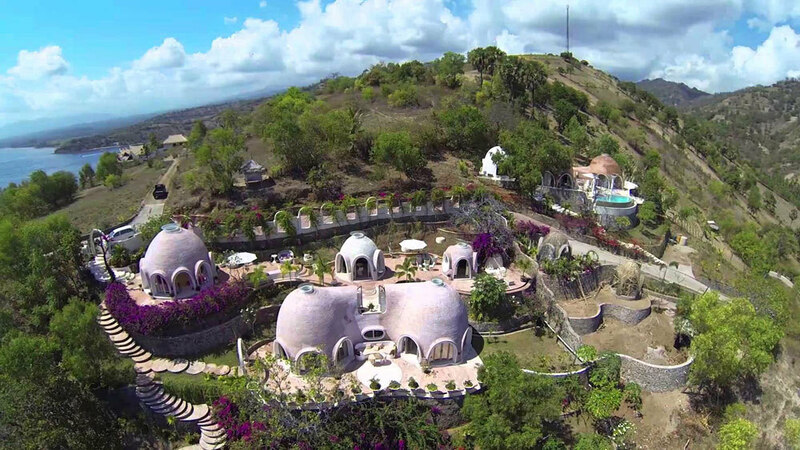 So why not check out our pick on the most interesting hotels you need to check out in Lombok? 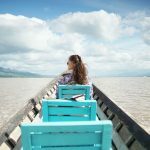 For those who are romantically inclined, you can have a one-of-a-kind sunrise breakfast on Hotel Tugu’s traditional wooden dragon-head boat – Naga MesemYou can charter the boat for private picnic parties, cocktail cruises or romantic sunset sailing too. 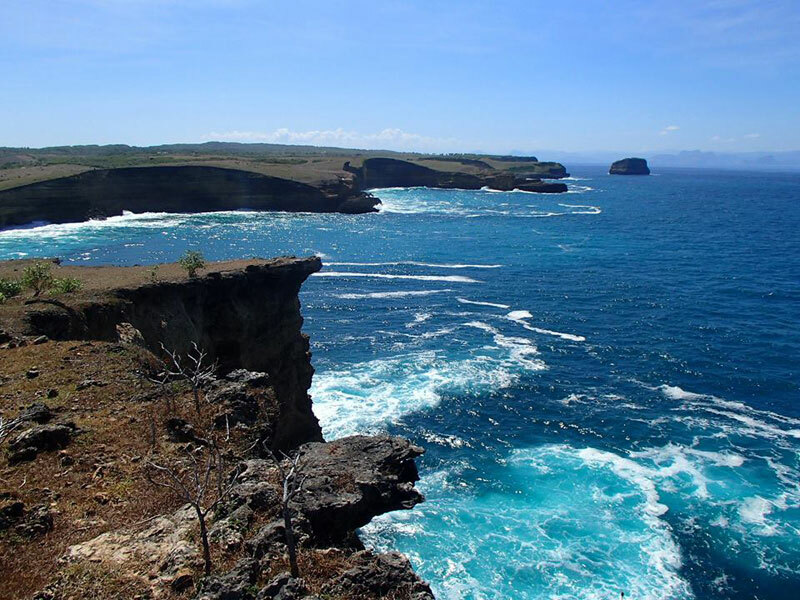 Lombok is not just about rugged landscape and beautiful beaches. 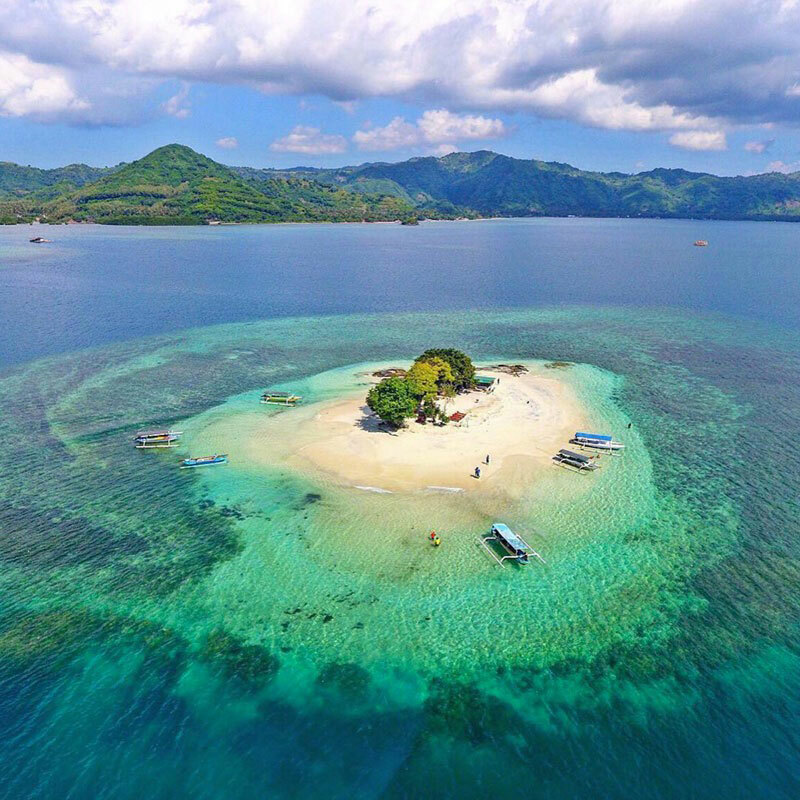 If you wander slightly offshore, you’ll find that the main island is surrounded by many smaller islands, also known as ‘gili’, where you can find crystal clear waters and soft white sand beaches. The most well known islands are without a doubt Trawangan, Air, and Meno. 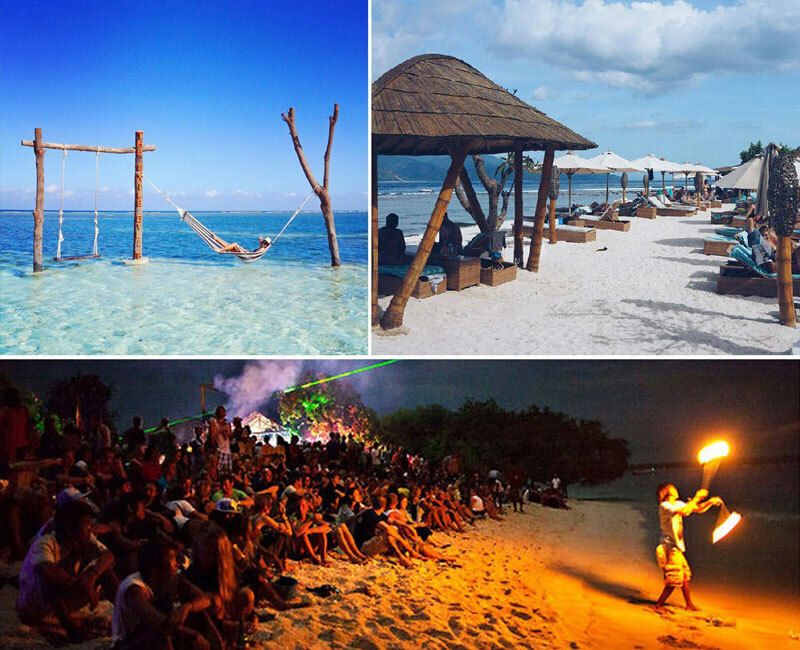 Gili Trawangan (also known as ‘Gili T’) is where you’ll find the best parties. Think magic mushrooms, beers on the beach, parties on boats, in bars and clubs. 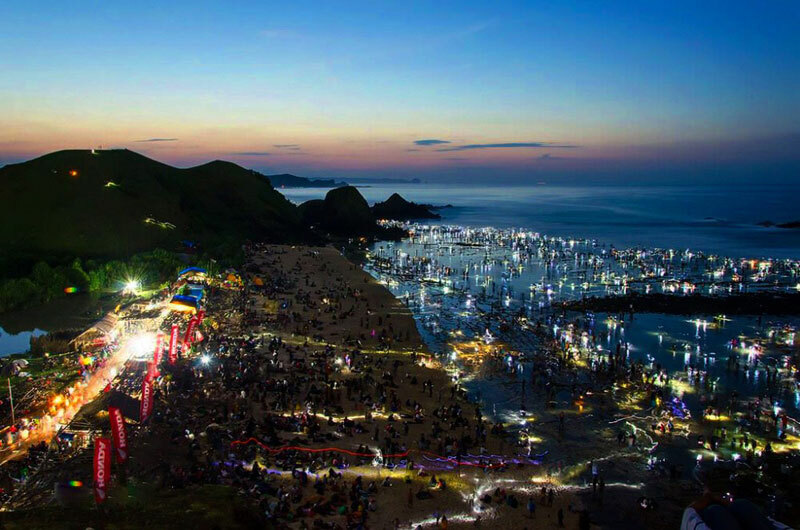 When you travel to Trawangan you can expect bikinis and boardshorts, and drinking and partying all day long. Then there’s the more relaxed Gili Air. 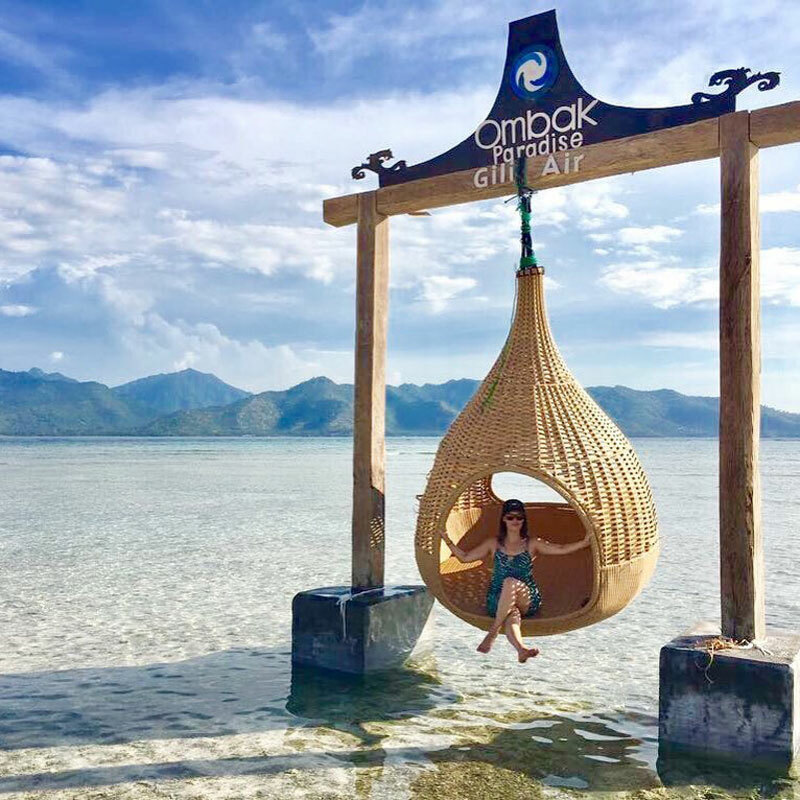 With the music, atmosphere, and overall attitude of Gili Air, you’ll experience what feels like a hippy vibe. 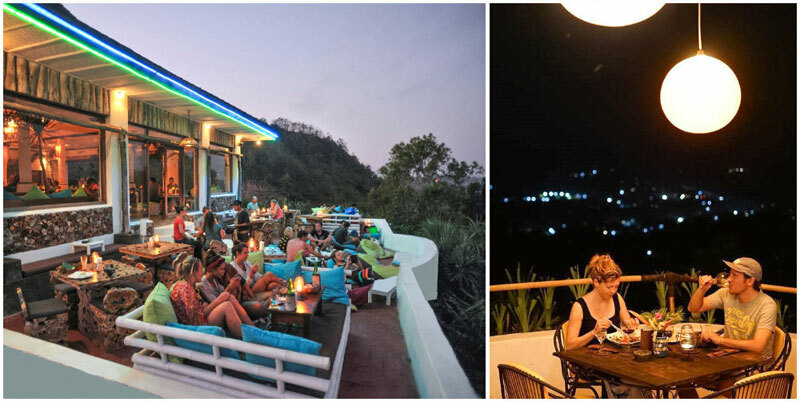 On the island’s east side, you can still find a fair number of bars, but nightlife here is tame compared to Trawangan. Beyond the bars, you can rent bikes, go snorkeling, and enjoy the slow pace of island life on Gili Air. Gili Meno has gained the reputation of being the ‘honeymoon island’ for its pristine beaches and quiet ambience. 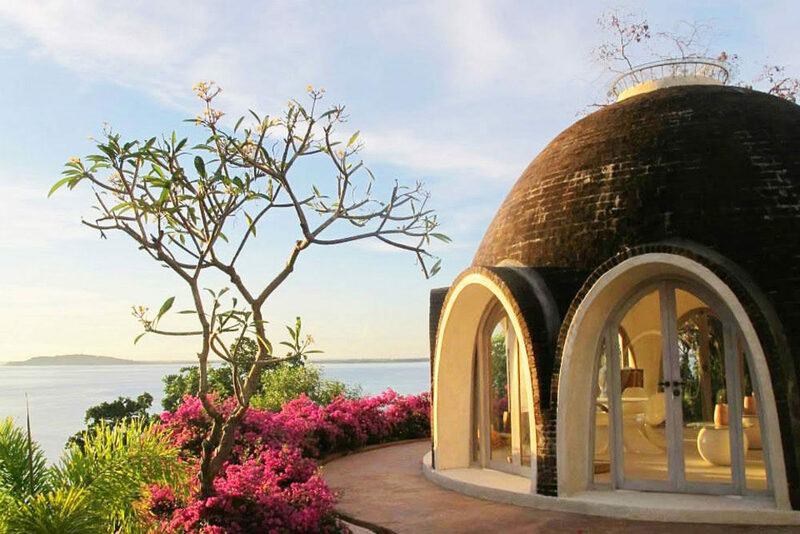 As the smallest of the three islands, Gili Meno is more intimate. 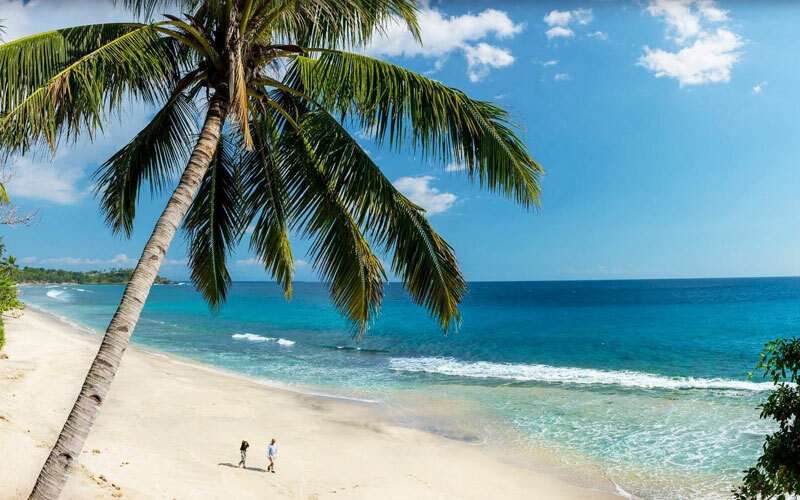 There are fewer restaurants, bars, and resorts, so you’ll have more privacy out on the white sand beaches. 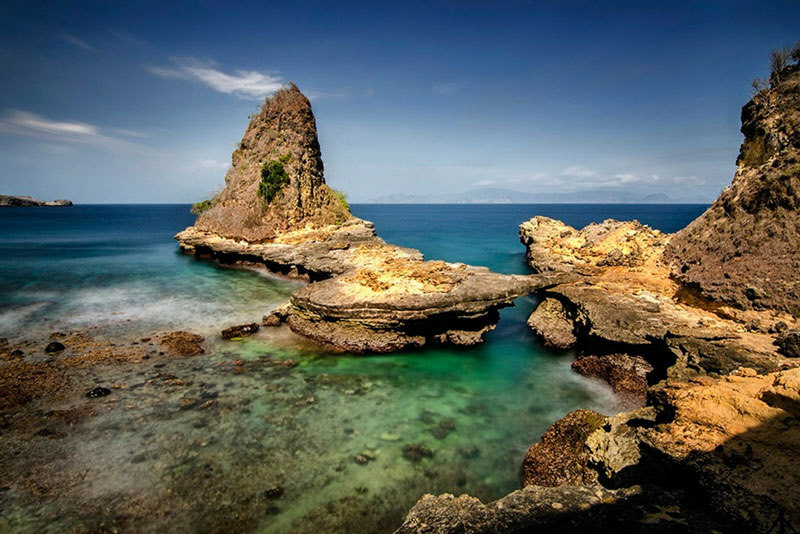 But the best feature of Meno might just be the astounding dive sites around the island. 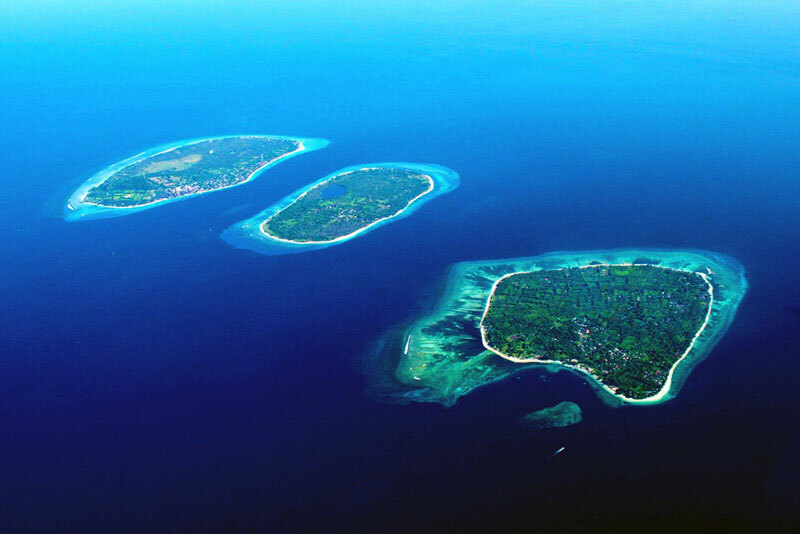 If you’re keen to find out more about the three gilis, check out our guide to the Gili Islands! 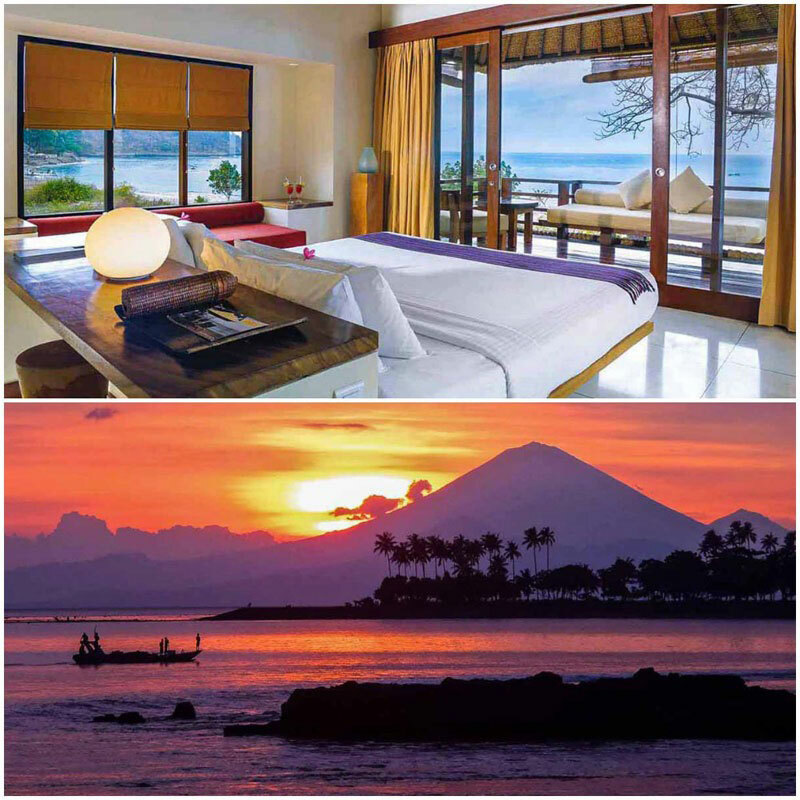 Hotel Ombak has two beautiful hotels on two of the Gili Islands. 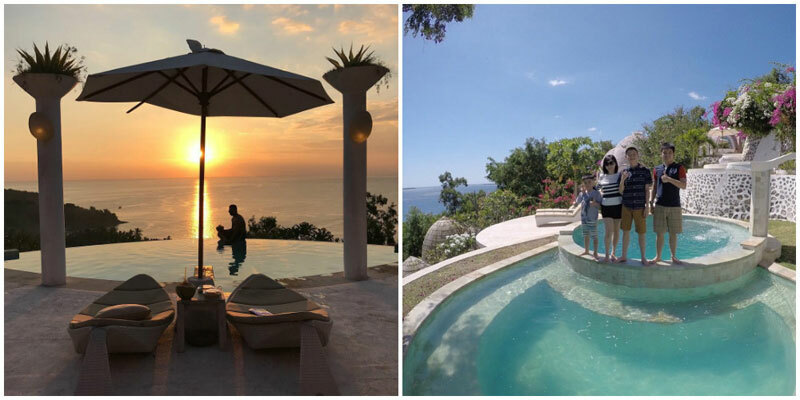 On Trawangan, you’ll find Hotel Ombak Sunset where you’ll find the acclaimed Instagram destination – Datu Sunset Swing. 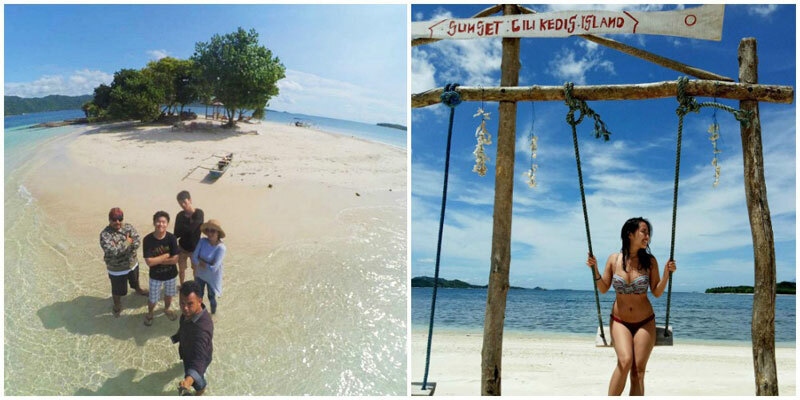 If you’ve seen photos of Gili Trawangan, you’ll likely have seen the well-known Sunset Swing. 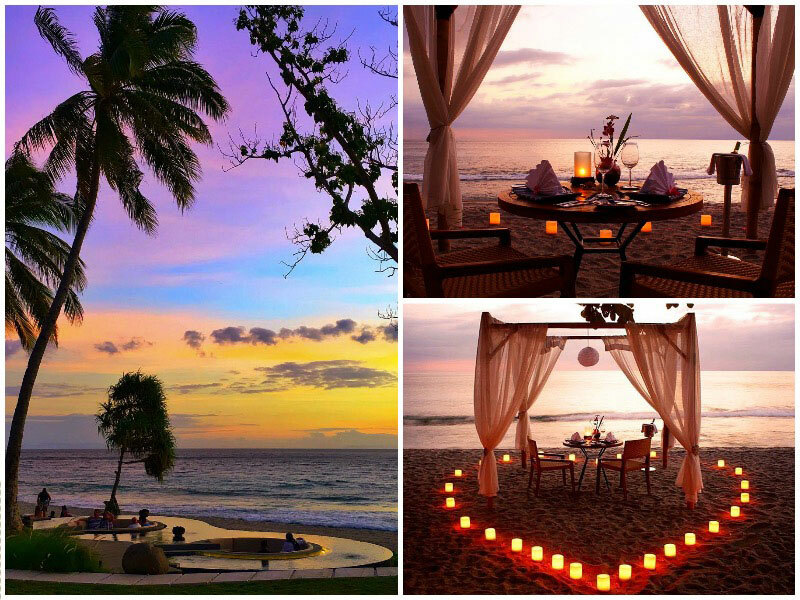 A few steps from the shoreline, you can sway over the sea with a loved one while watching the sunset. 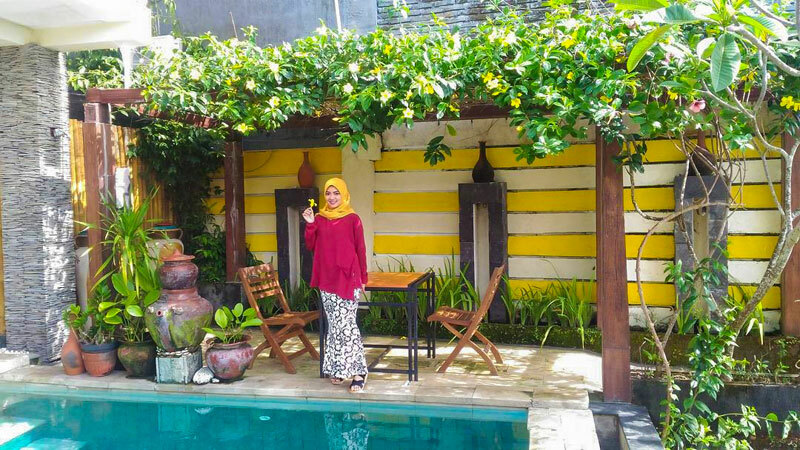 Jumping over to Gili Air, there is Hotel Ombak Paradise. Here you have a nest swing that’s currently rising in Instagram-popularity. 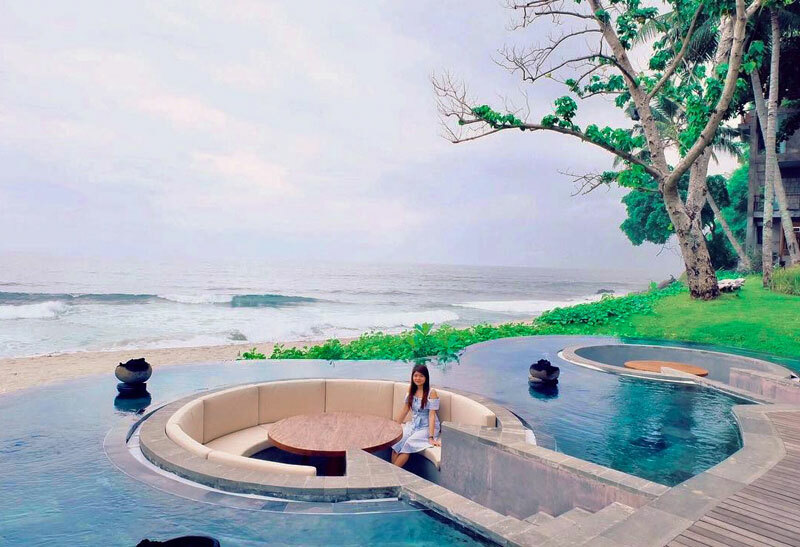 As a guest at Hotel Ombak Paradise, you can effortlessly walk from the beach into the life-size nest and gently rock along with the waves. 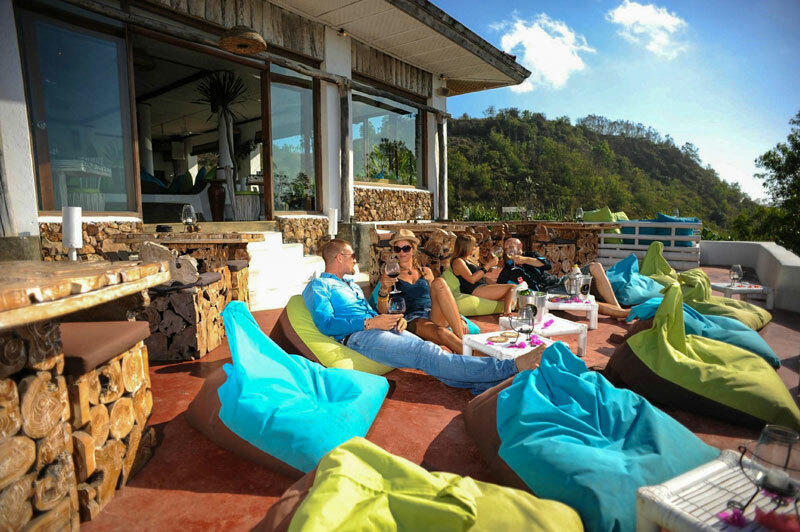 If you’re looking to make your experience on Gili Air a special one, Gili Air Lagoon Resort fits the bill perfectly. 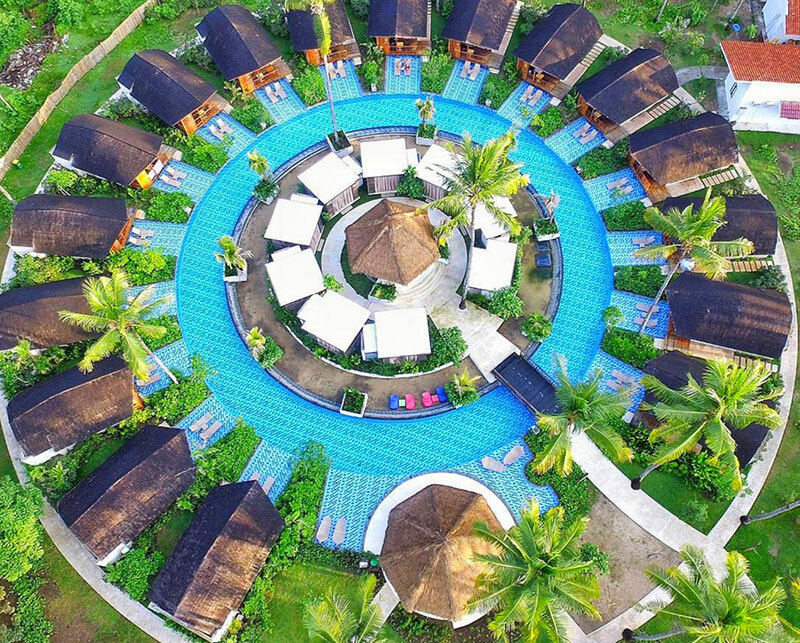 This resort’s compound is uniquely shaped like a circle, with little wooden cabins surrounding a clear blue lagoon. 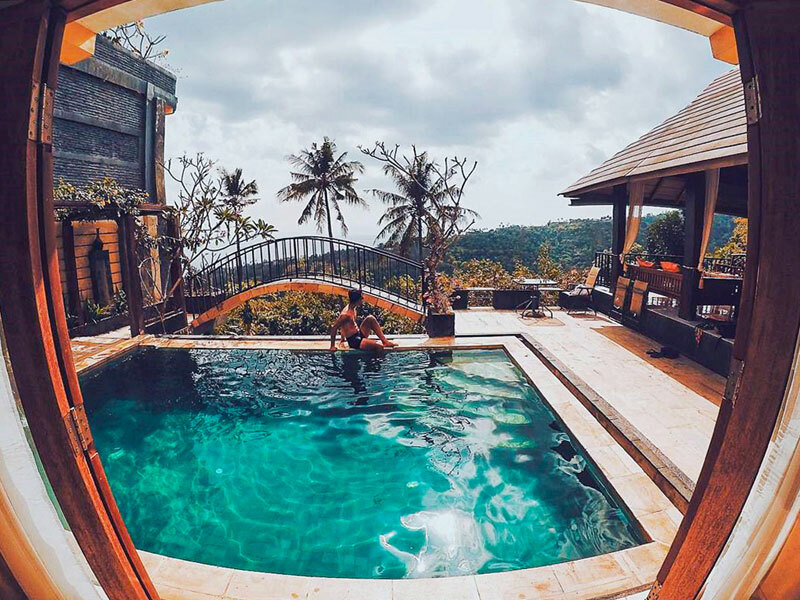 Those who are not fans of saltwater will love jumping into the cool pool right from your room. 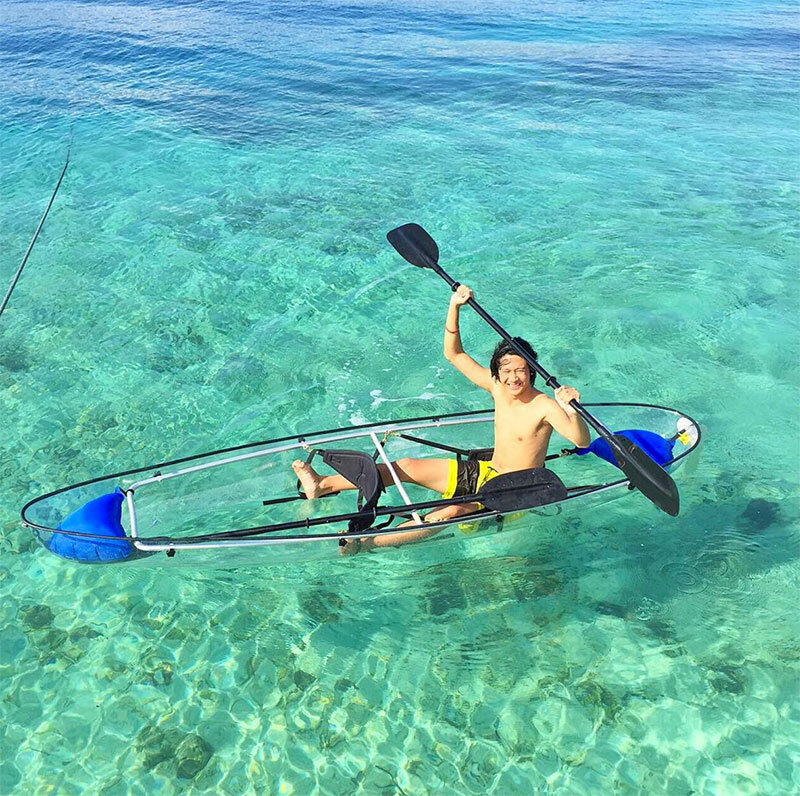 You’ll even be able to get up close to the sea on the resort’s special glass-bottomed kayaks. It’s exactly as its name describes, the kayak has a clear glass bottom so you can peer through and conveniently explore the ocean from above! You won’t even have to get yourself completely wet – unless you’re terrible at rowing, but we have more faith in you than that. 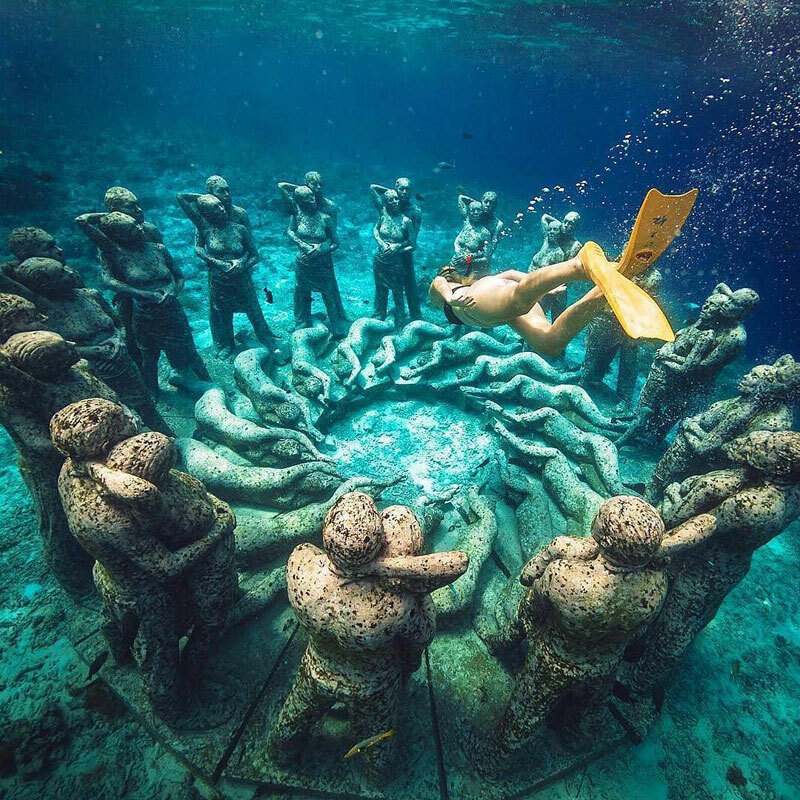 Keen to visit a new underwater sculpture in the ocean? Designed by the illustrious artist Jason deCaires Taylor, the eco-friendly project Nest is a 48-piece underwater sculpture of human figures laying down and standing up in an embrace. If you can believe it, the human statues that now live on the Meno seabed were sculpted with casts of real human bodies! The message of this exhibition? Sustainability. The artwork was created to help restore and rebalance marine life and encourage local business and tourism. 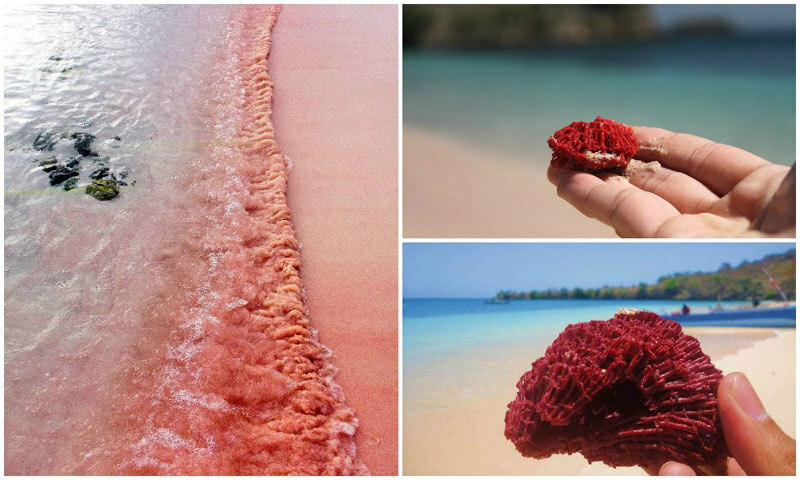 In a year’s time, sea sponges and corals will begin to form a reef where sea creatures can live in, so keep an eye out in 2018! 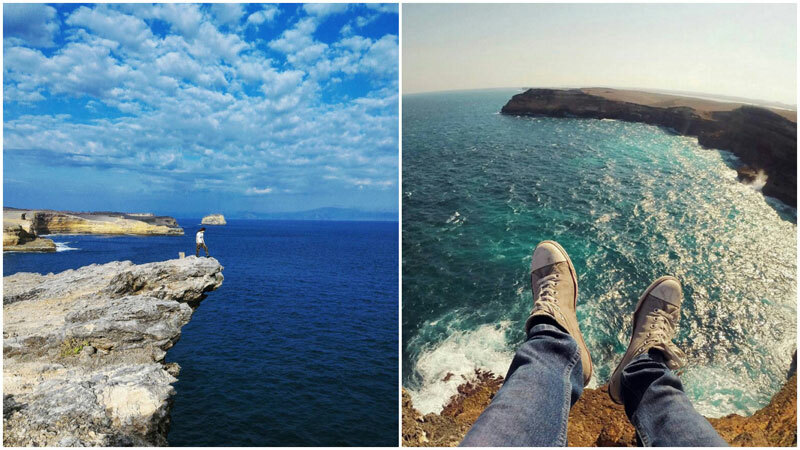 If you dive, this is definitely a spot you can’t miss! 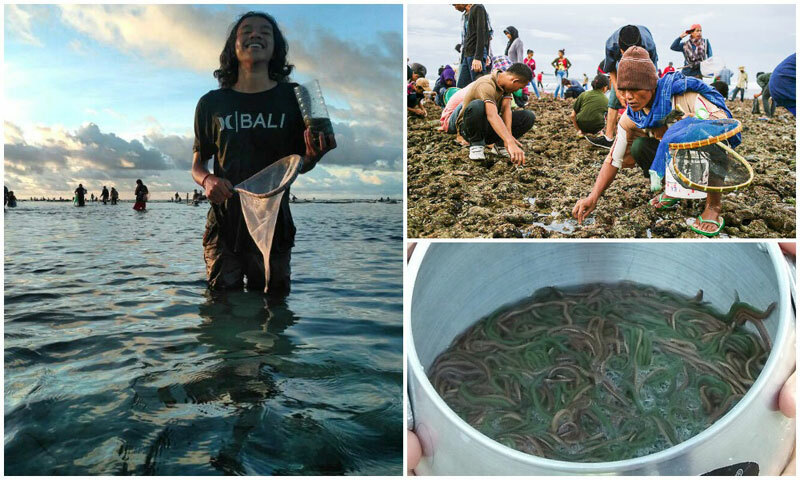 There’s no entrance fee, so come and experience the delicate natural environment beneath the sea. 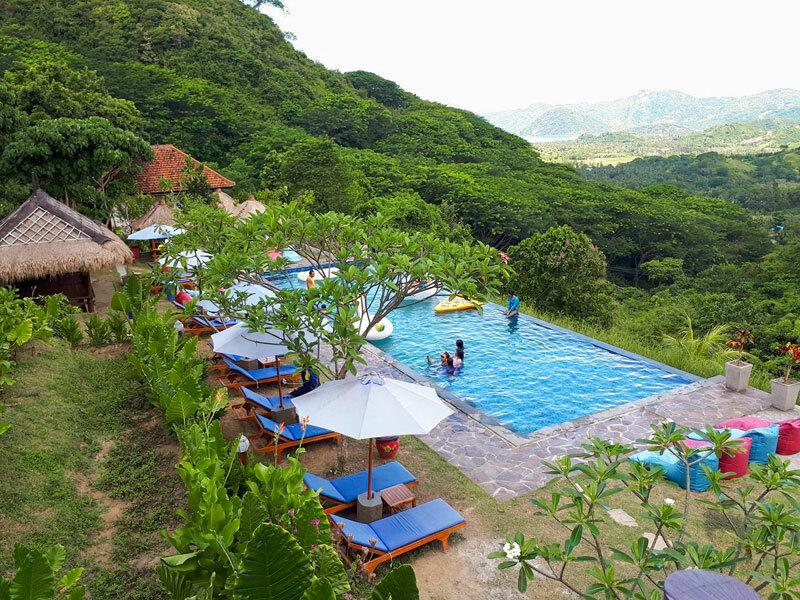 Getting there: Bask Resort is located on the west side of Gili Meno, facing Gili Trawangan. To reach the underwater sculpture, walk out straight out to the water from Bask. After a short swim from the shoreline, you’ll spot Nest. 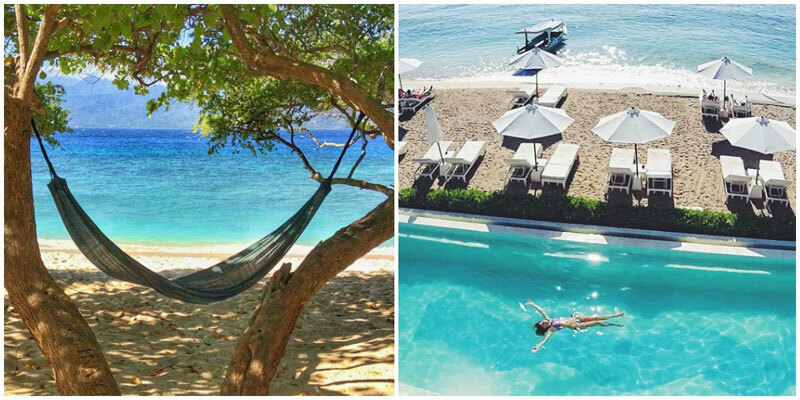 If you’ve explored the three main Gili Islands and think that’s all to island-hopping around Lombok, you’re wrong! 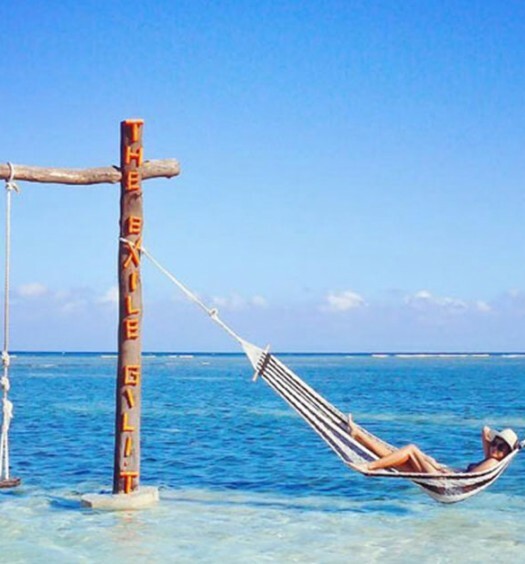 There’s many more exotic islands with lovely crystal clear waters and white sandy shores, one of which is Gili Kedis, an island so quiet it will almost feel like your own private island! 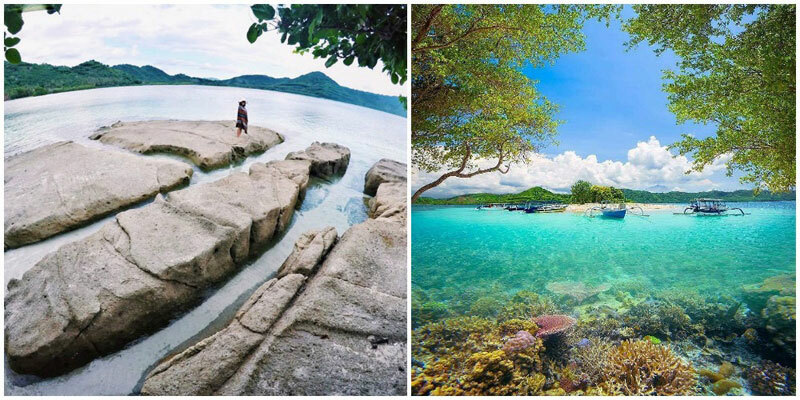 A lesser known island, Gili Kedis is located south of Mataram, just a quick boat ride from Lombok. Though Gili Kedis is small (you can circle the island on foot in about 10 minutes), it’s well worth the visit. 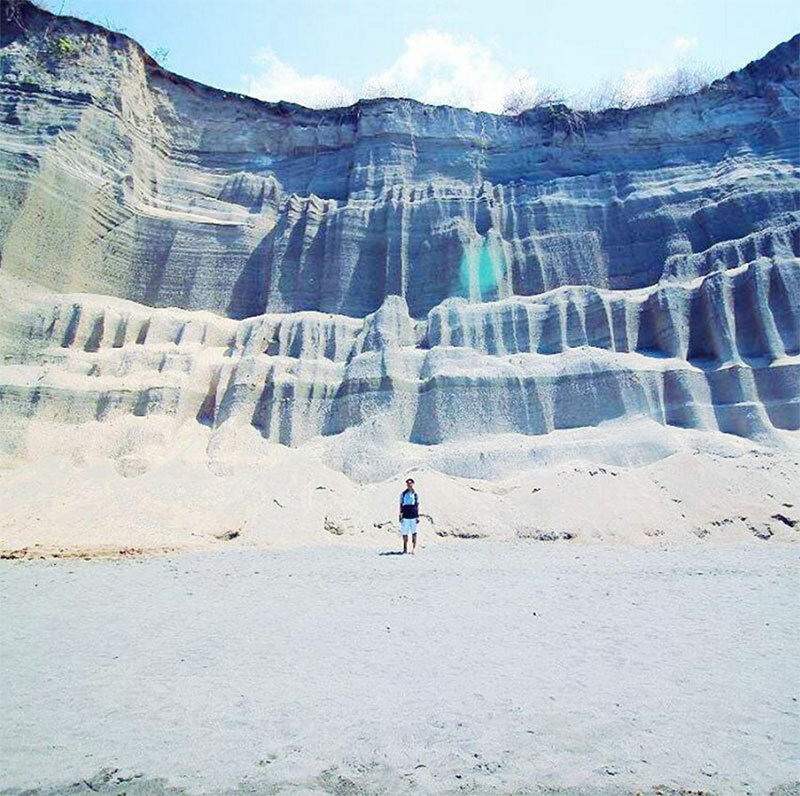 As you alight from the boat at Kedis, you’ll be stepping onto a gorgeous soft sand beach that spans around the island’s edge, and because very few tourists know about this gili, you may even have the whole island to yourself! 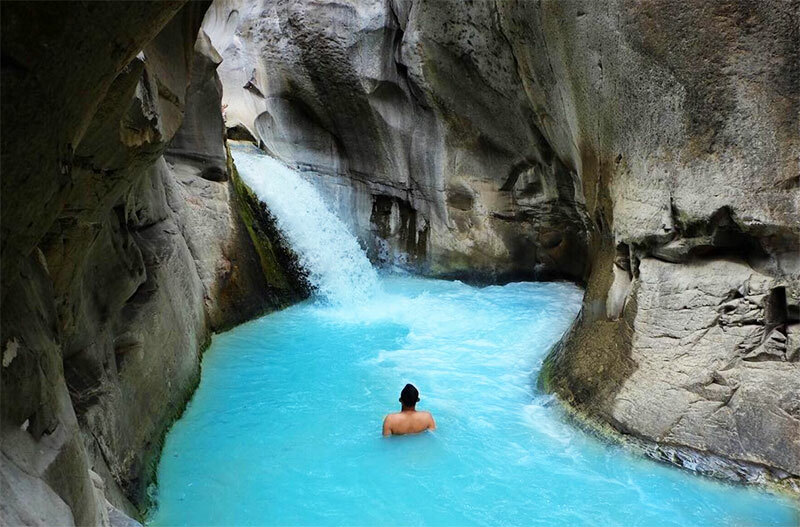 You can sunbathe or swim out and snorkel around the remarkably colorful coral reefs around the island and explore the rich marine life! 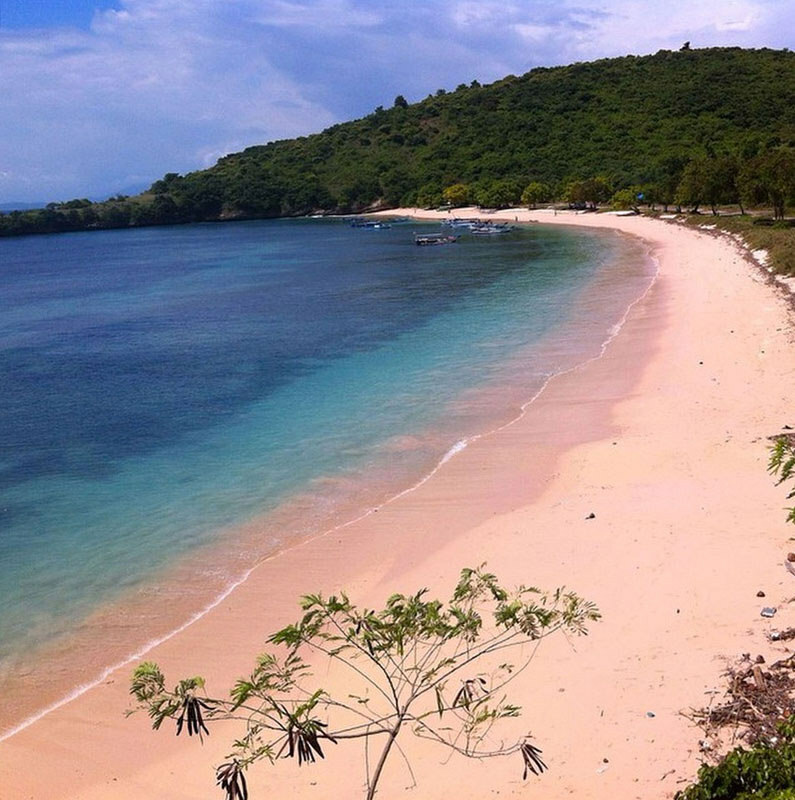 Gili Kedis isn’t the only underrated island around Lombok; in fact, there are several more. 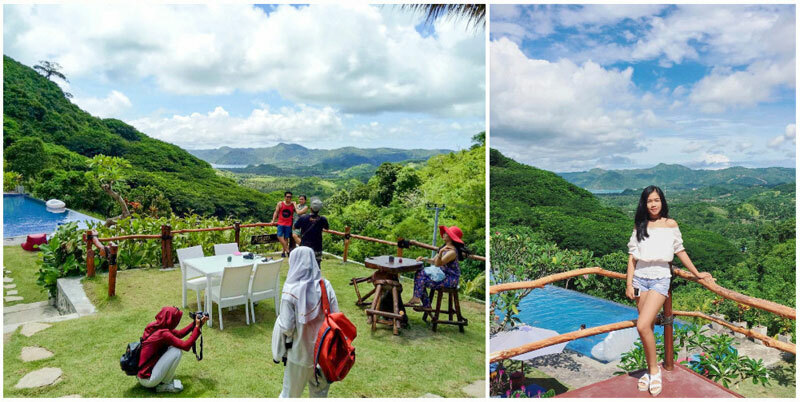 Instead of heading to the usual Trawangan, Meno, or Air, consider island-hopping around the lesser known gilis such as Gili Nanggu, Sudak, and Kedis. Entrance fee: Rp. 5,000 (approximately USD$0.40) cleaning fee is said to have been charged for visitors. 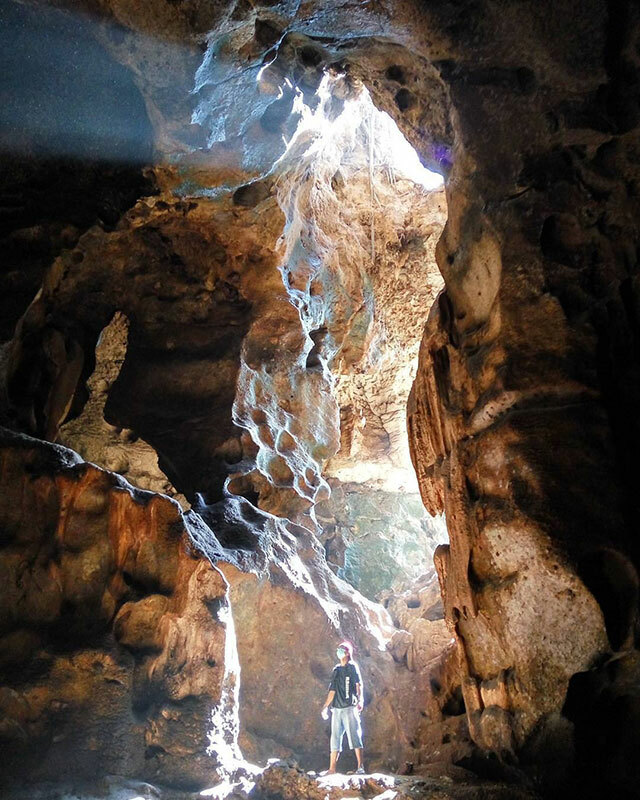 Everyone should have this in his or her bucket list – climb an active volcano. 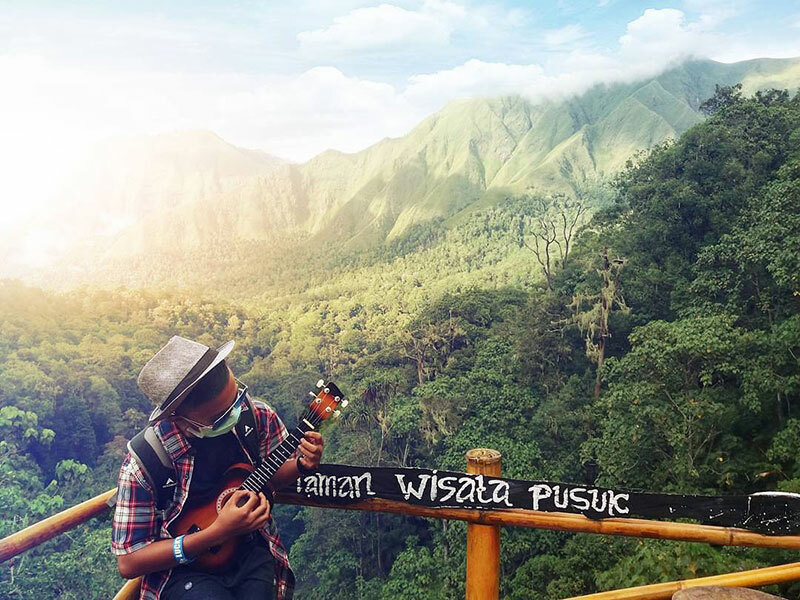 Volcano Rinjani is just one of those heavy smokers that just won’t quit, but also trying to be at its greenest. 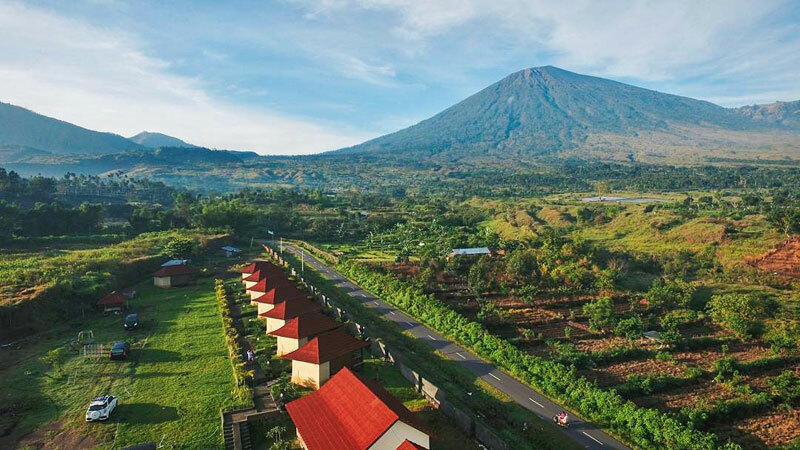 This mighty volcano has an extraordinary panoramic view that makes it one of the greatest volcanological attractions of the world. Standing at 3,726m, the second highest mountain in Indonesia, the 4-day-3-night trek to the summit is not a walk in the park. 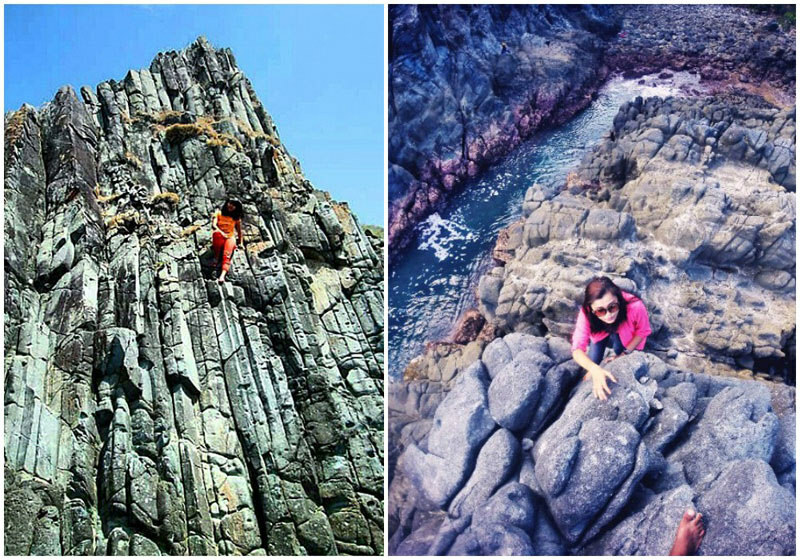 Those loose lava rocks, sand and high altitude will require certain physical fitness to make it an enjoyable trek. It is recommended that you start training by walking at least 5 km every other day with weights before the actual trek. Despite not able to shower for 4 days, and endlessly walking for 3 days while sweating like a tap, the magnificent summit view is all worth it! 5 stars hotel? 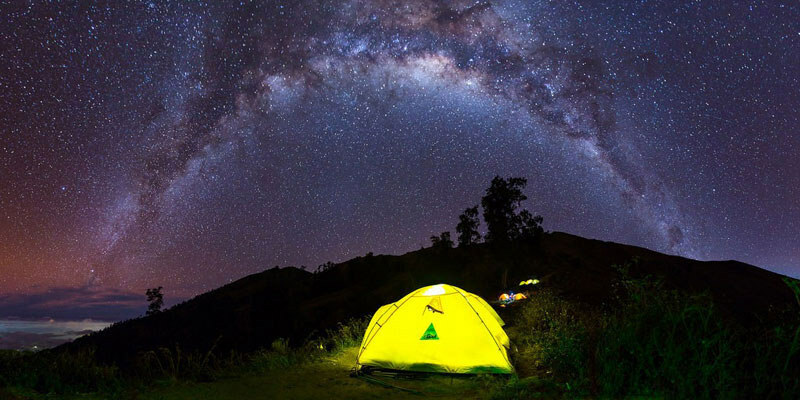 You get to sleep under 5 billion stars and marvel at the Milky Way. 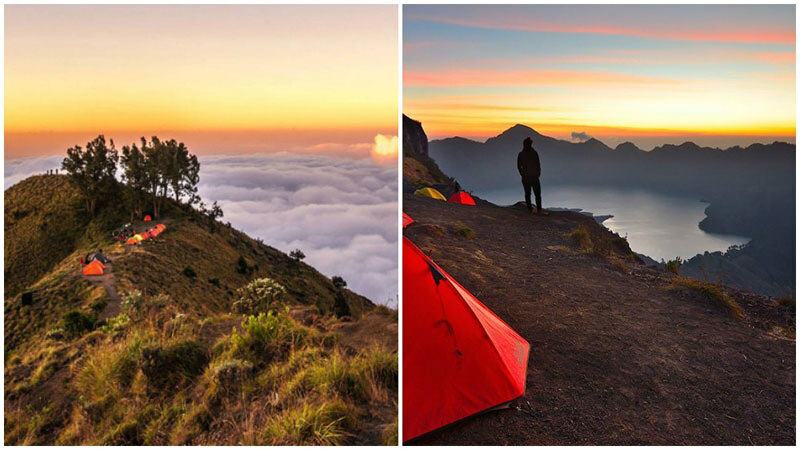 The best season to climb Mount Rinjani is April to December. 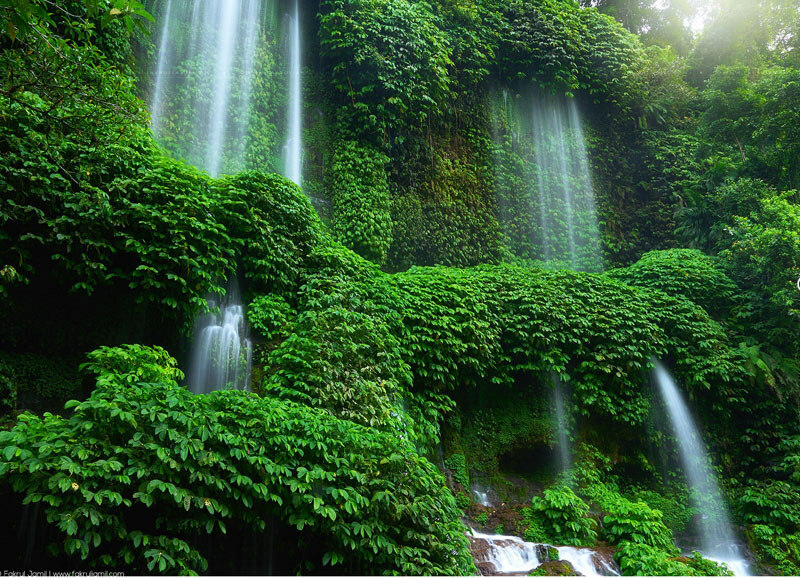 Mount Rinjani National Park is closed from January to March due to heavy rain. The last eruption was in 2010, but please do check the volcano activity and weather forecast before any summit attempt. 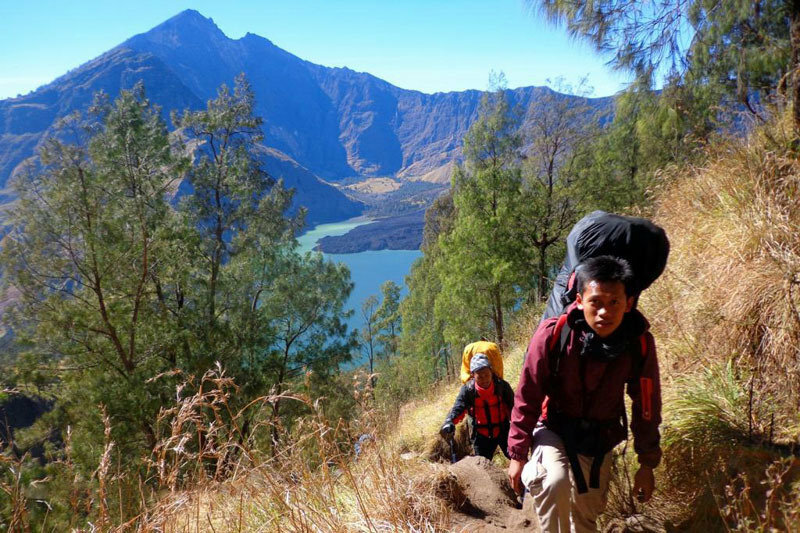 While it is possible to climb Rinjani without a guide, it is highly recommended to go with a tour, unless you are experienced, well prepared, very fit, and fully equipped, ready to carry all your food supplies, sleeping bags, camping tents for 4 days. If not, definitely hire a guide who can do all these for you. High altitude sickness is common at this height (which can happen at about 2,500m), so be fully aware of the symptoms and have the necessary check ups before the climb. Do not attempt the summit if you develop any of the symptoms, descent immediately. It can be fatal within hours. The temperature can get as low as 0°C at the summit, so bring along windproof and warm clothes for the summit day. Take only the things that are absolutely necessary – you won’t want to carry a 10kg luggage for 4 days! 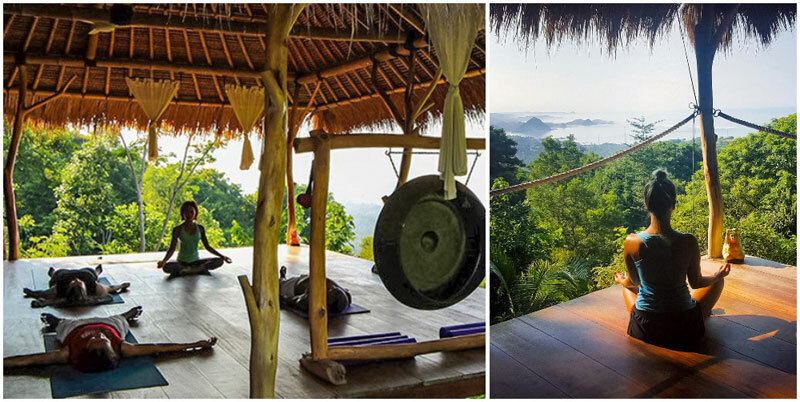 Cure all your illness and soreness without any pills or medication – that’s what the locals believe. 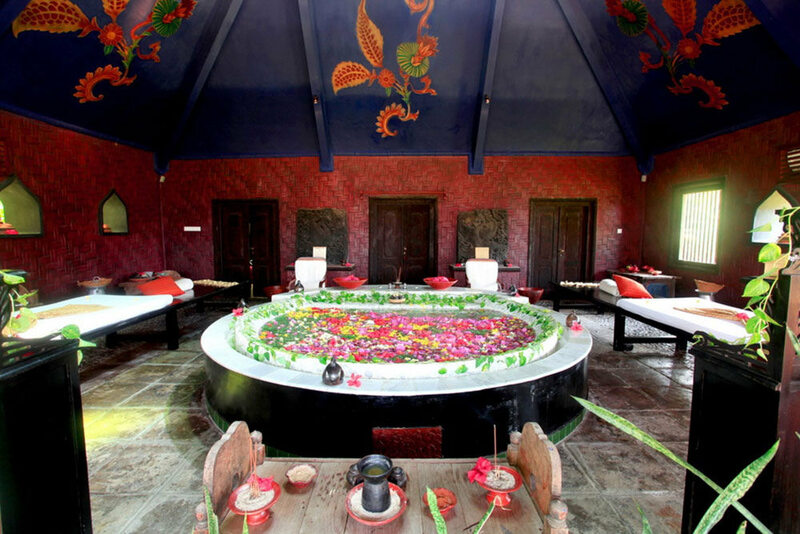 This hot spring is blessed by the local Hindu community and is believed to have an enigmatic healing power. 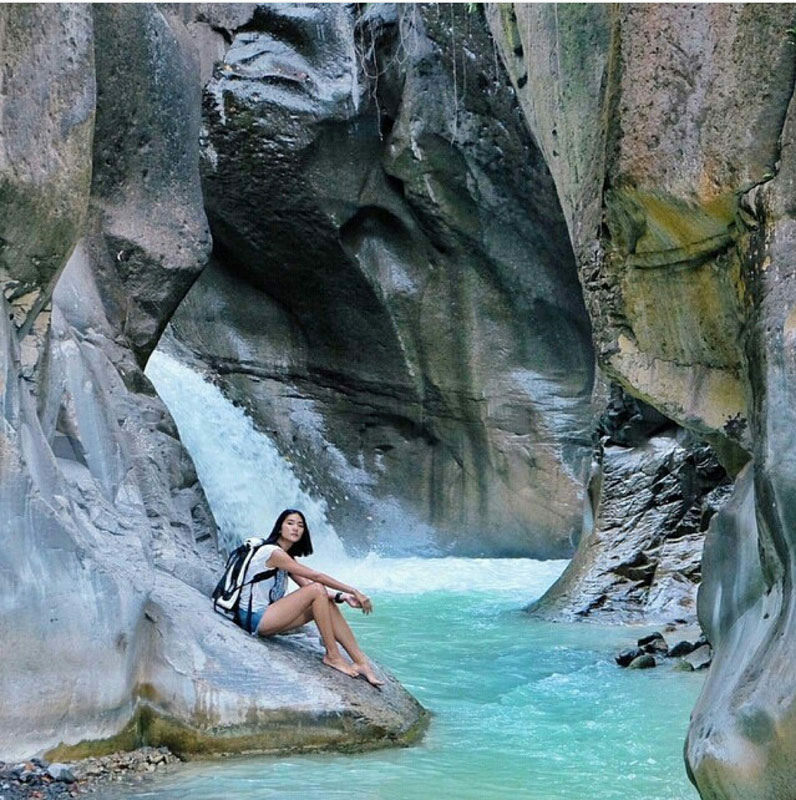 Myth or truth, diving into the warm water is revitalizing enough to sweep away all the fatigue from a full day hike! 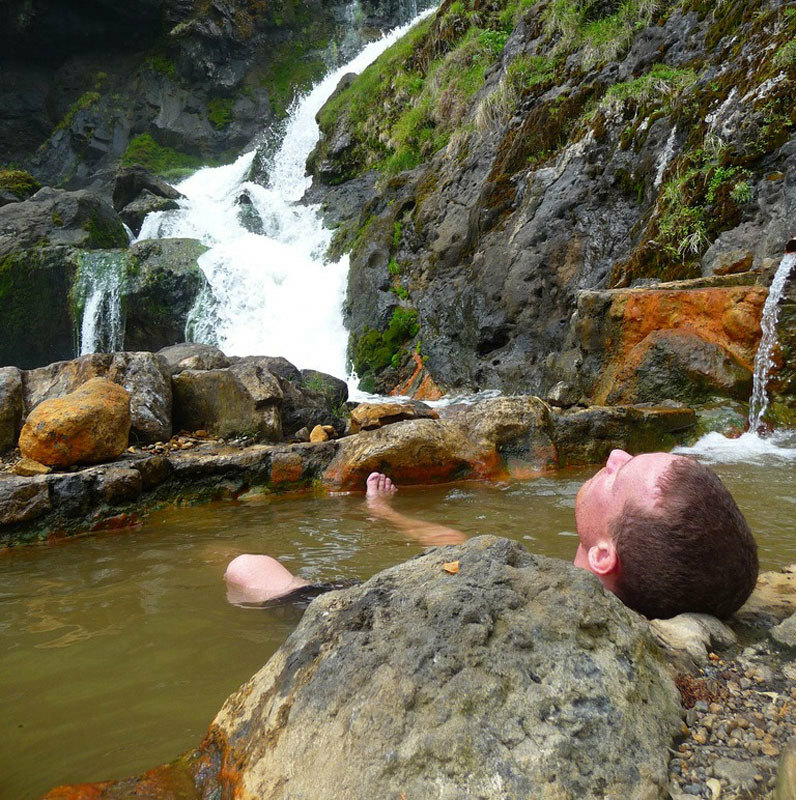 Just located 200m from the camping site, it’s a popular place for hikers to rest their feet in the therapeutic water. While we hikers are asleep during full moon, the local perform rituals and bless the blades of their kris (swords) in the sacred waters and hot springs of the caldera lake. 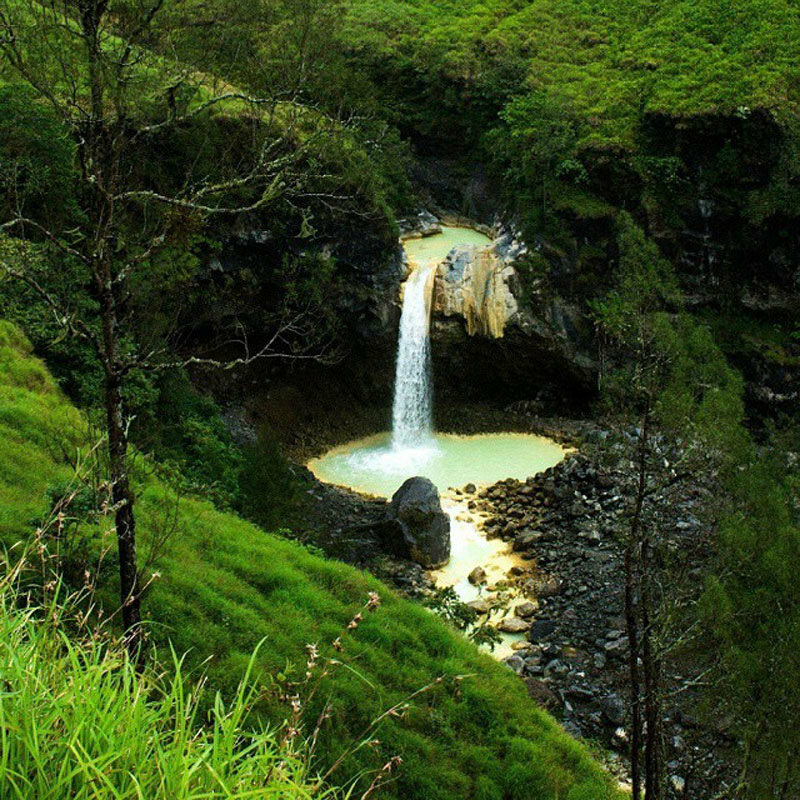 Getting there: The hot spring is located at the crater lake of Segara Anak within Mount Rinjani. It will take one day trek to reach the crater. Want to know your future life? The answer is in this lake. There’s a local myth that if the lake looks wide to you it is a sign you will live to an old age; or if the lake seems narrow it is a sign of a short life. 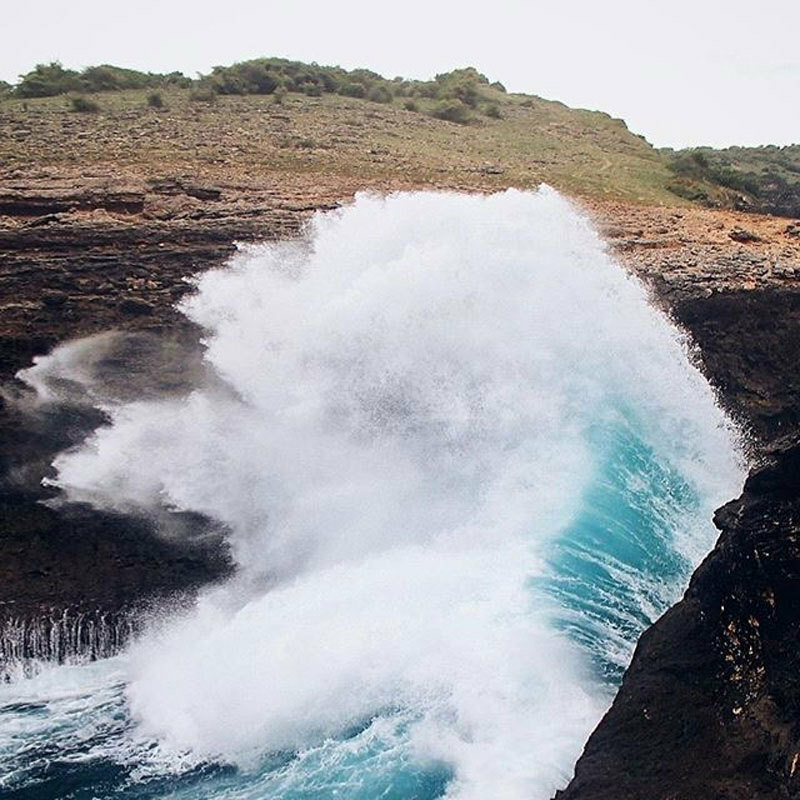 The name Segara Anak means child of the sea. 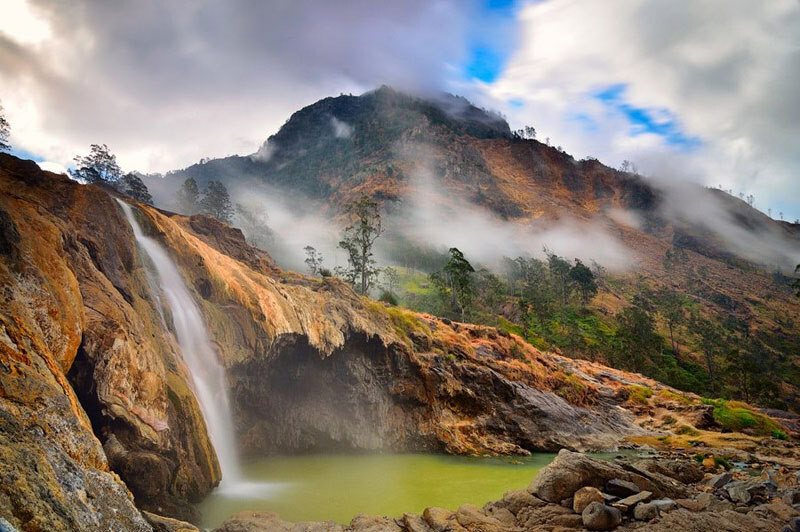 Segara Anak Lake holds various mysteries and invisible power. No matter what, just sitting by this jade serene lake and warming yourself with a drink after your hike will make all your worries fade away. 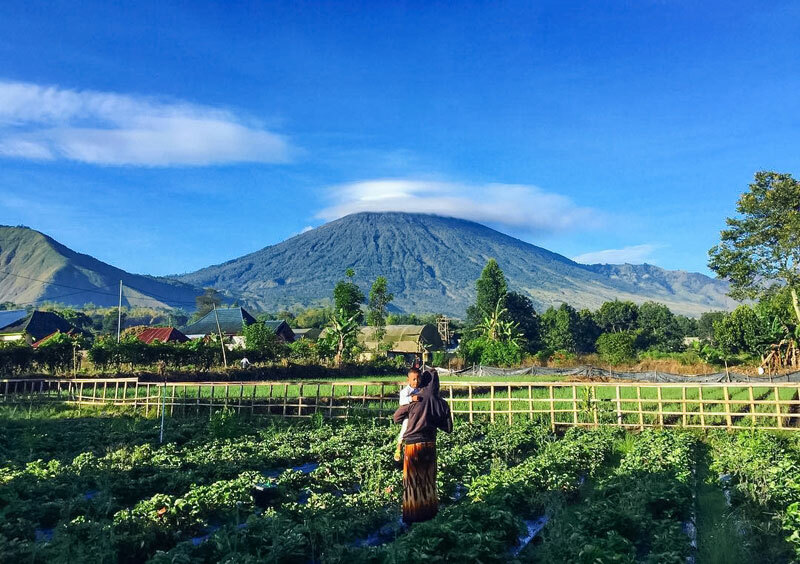 And here’s the catch – there’s actually another volcano within Mount Rinjani. 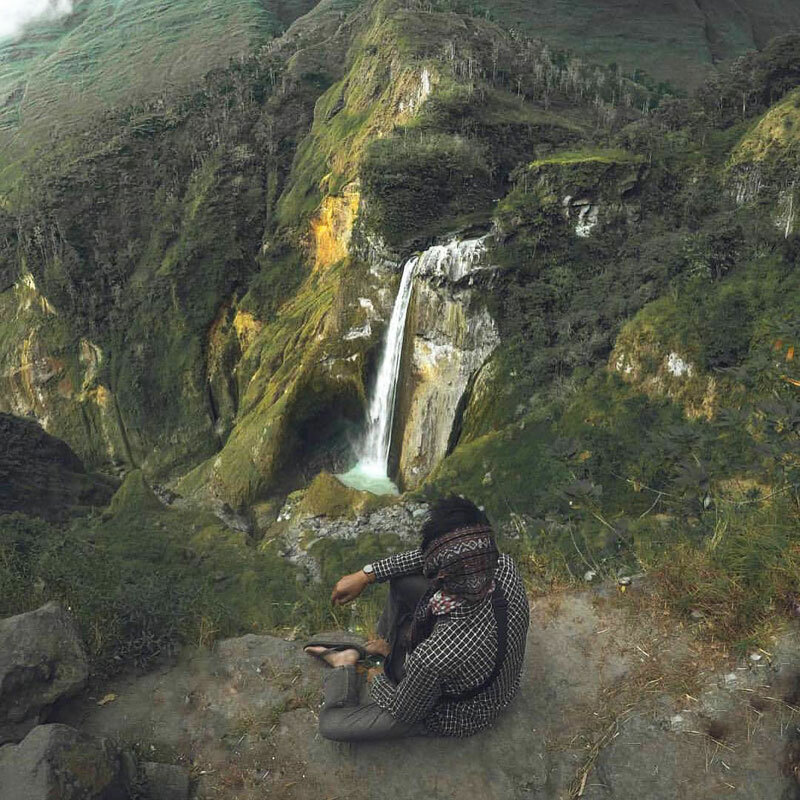 Gunung Samalas, the former twin peak of Mount Rinjani, was destroyed after the explosion in 1257, but remains dormant in the middle of Segara Anak. 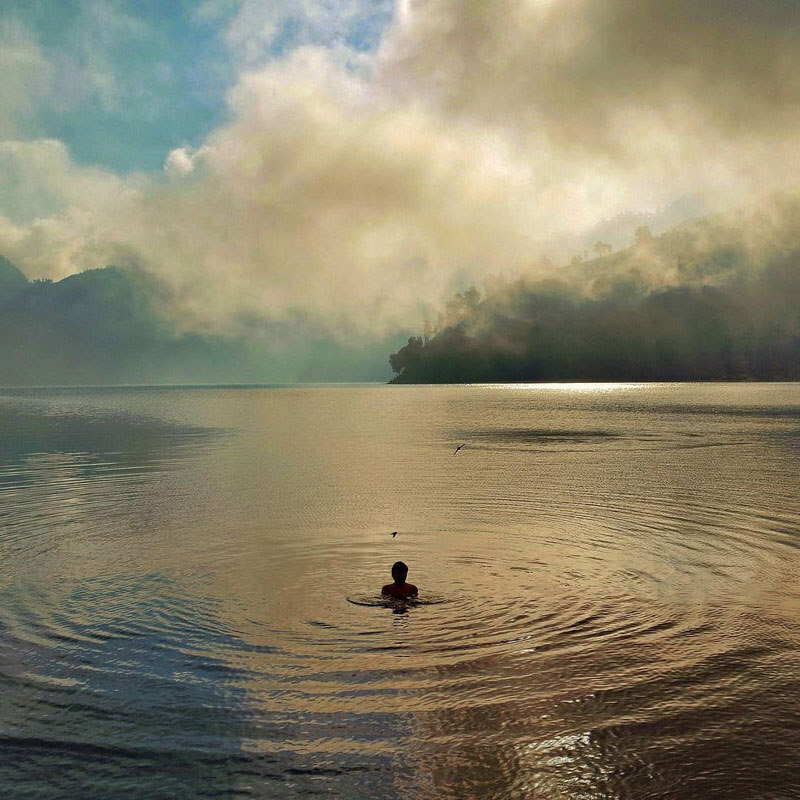 Segara Anak is a crater lake contained at the west of Mount Rinjani. A 8-10 hours trek will take you to the lake at 2,000m elevation. 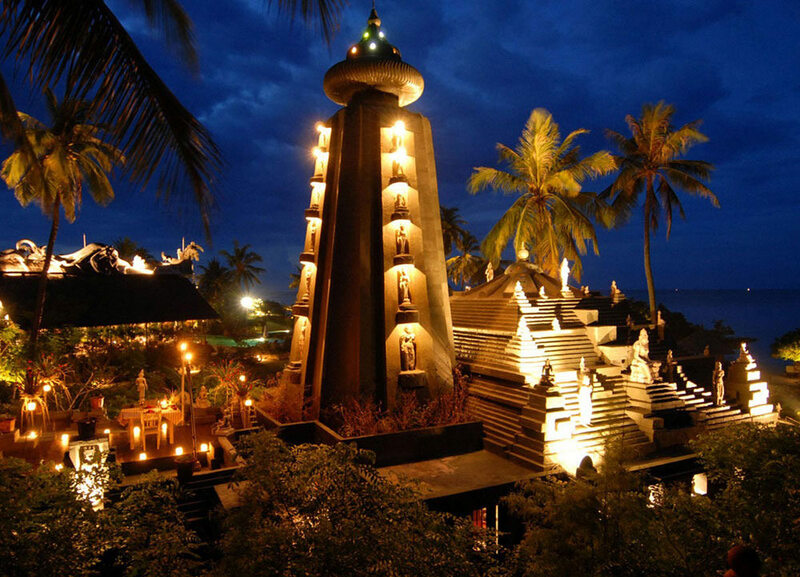 Package fee: 3D2N package at USD$350/pax. 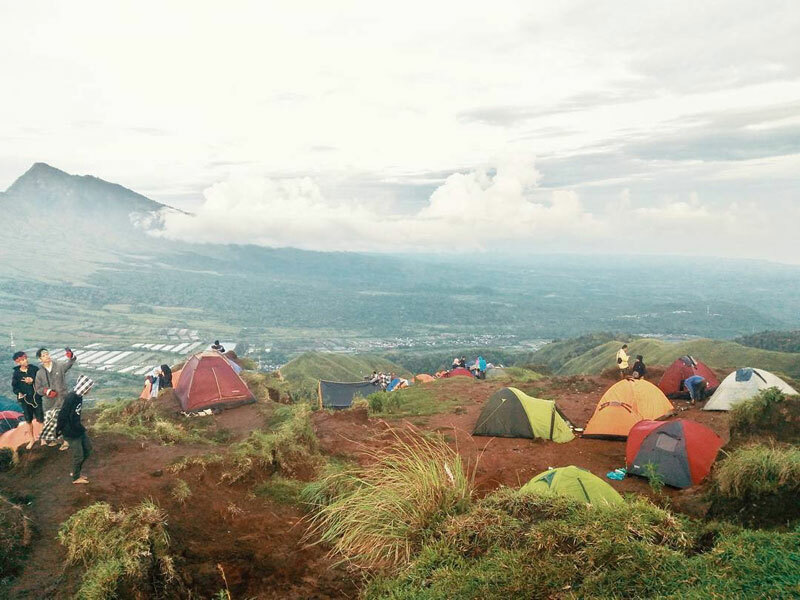 Address: Balai Taman Nasional Gunung Rinjani, Jl. 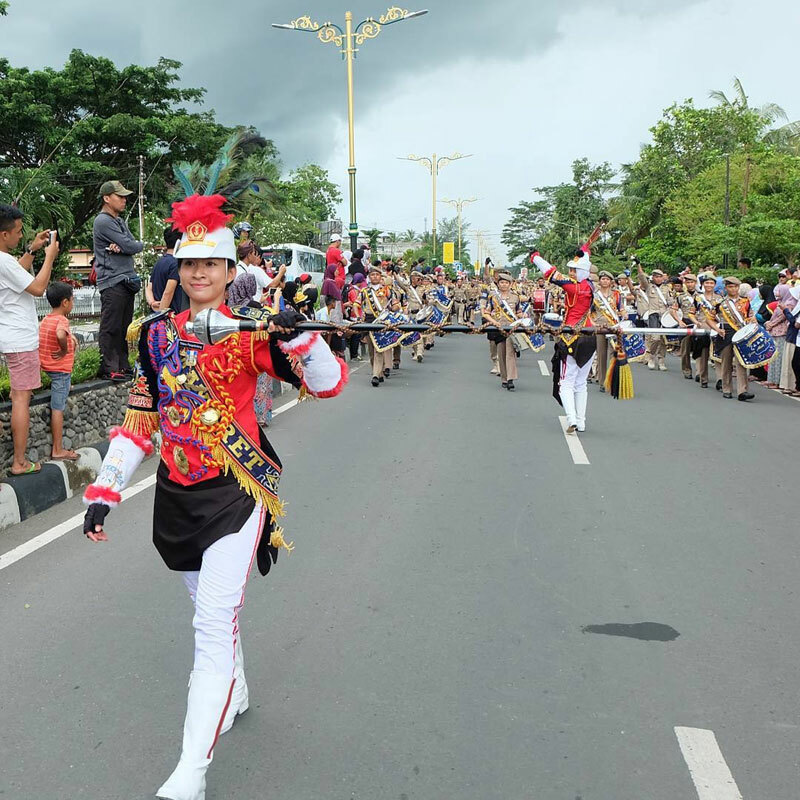 Arya Banjar Getas, Lingkar Selatan, Mataram, Lombok Barat. 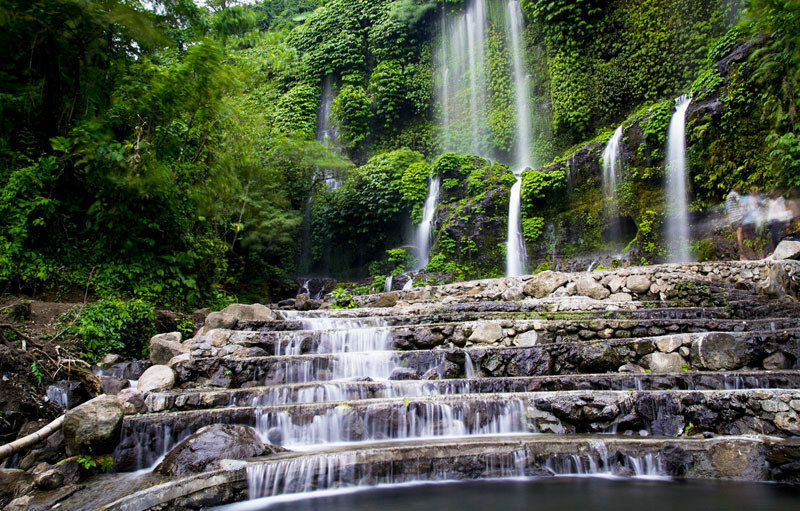 Getting there: From Mataram, it is a 2 ½ hour scenic drive to Senaru Village, which is the main access point to Rinjani National Park. 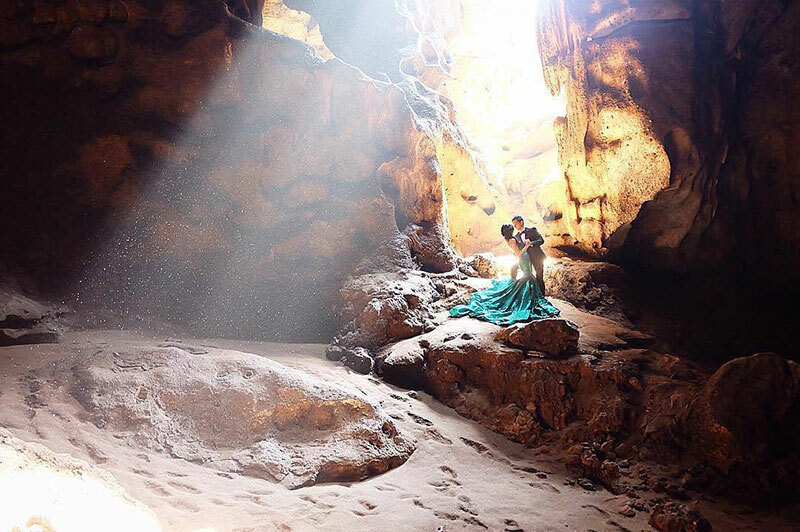 Time travel back in time is made possible right here in Lombok. 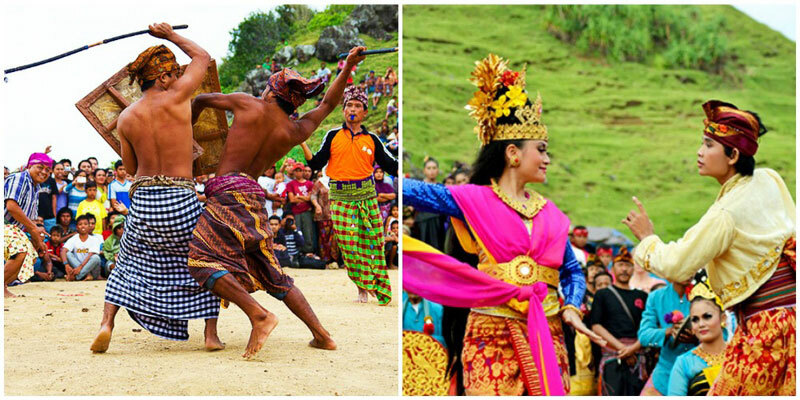 Sasak village is still home to the indigenous people of Lombok, who have been living the same way since 5,000 years BC. 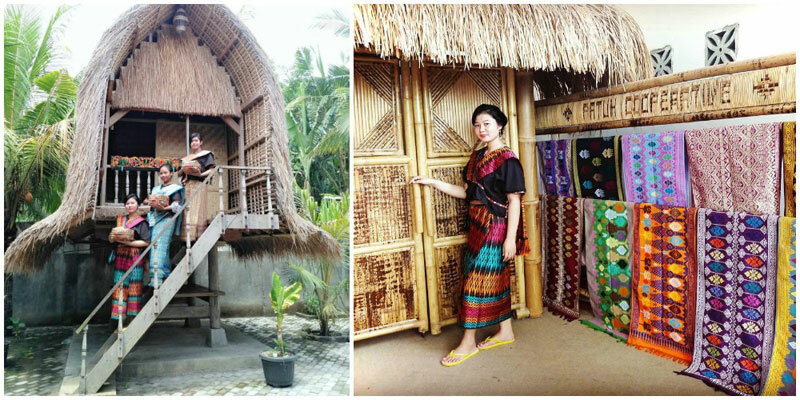 Villagers have continued to live in their old traditions despite the modernizing surroundings. 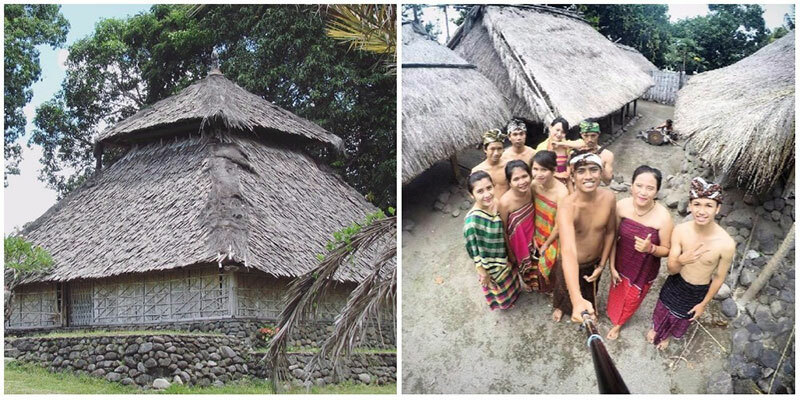 The most ancient village can be found at the foot of Rinjani, Bayan Village. 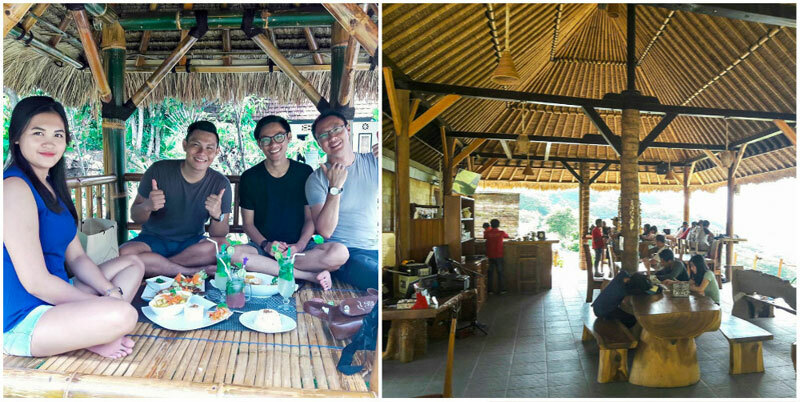 Rinjani Lodge is located 1 km away, so you can be become neighbours. Plasters of mud and cow-dung make the huts. 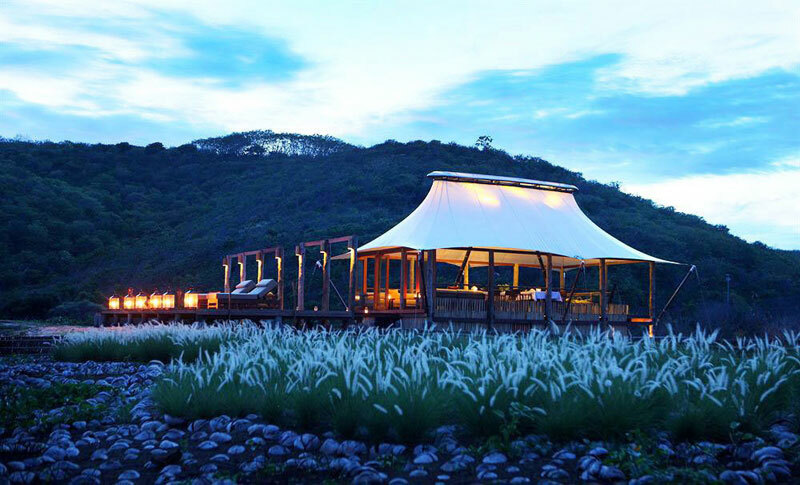 The distinctive traditional huts – rice barns – were built using 100% natural resources, a craftsmanship developed since the 17th Century. Be respectful when visiting their compound – it’s their private property. 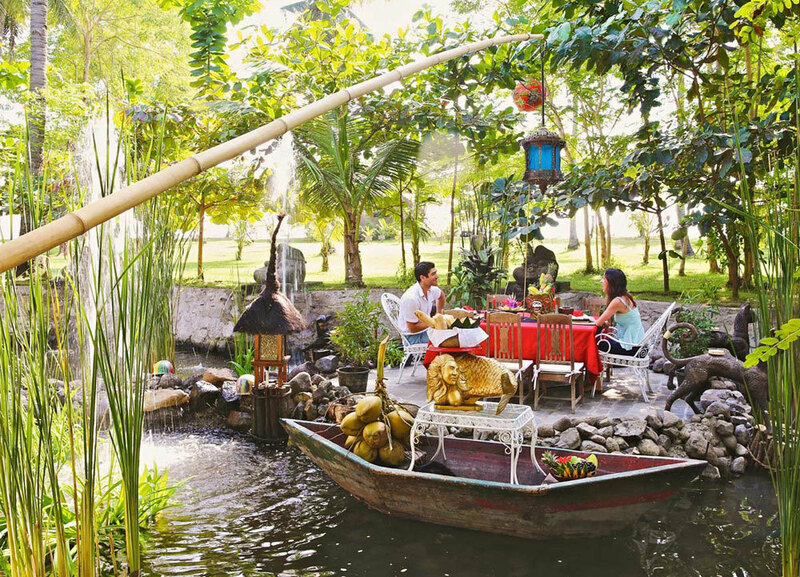 Alternatively, Sade Village, located in Kuta, is more welcoming to tourists. 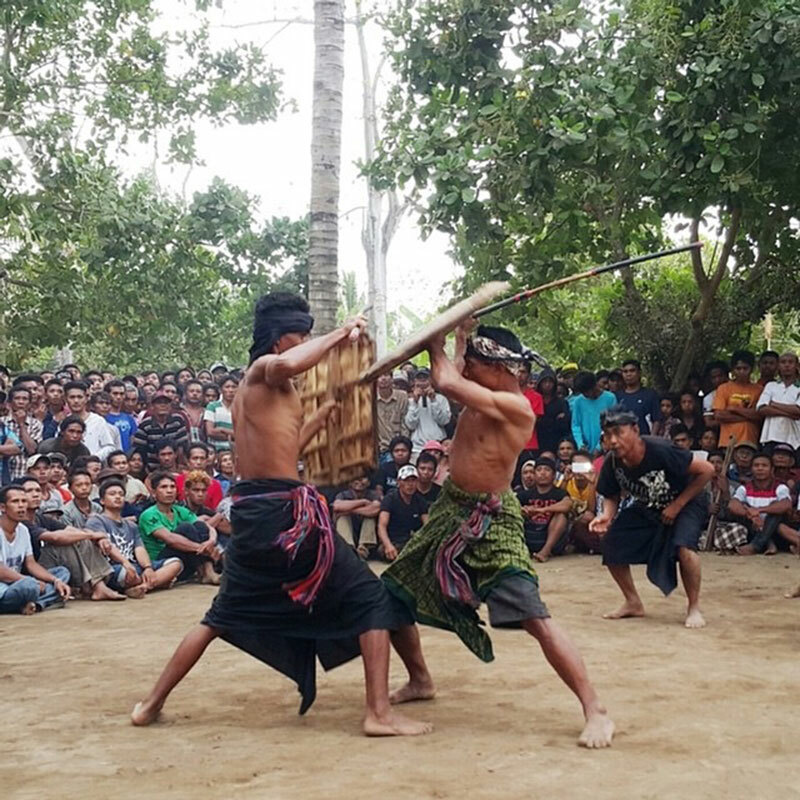 You can get to meet and greet the Sasak people and understand their way of life. 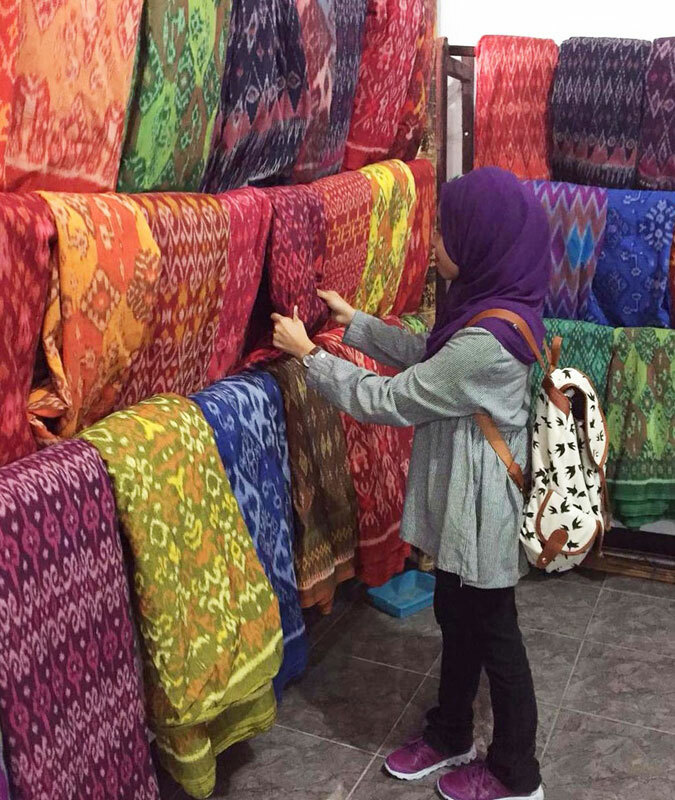 Traditional woven handicrafts by the women are also available for sale. 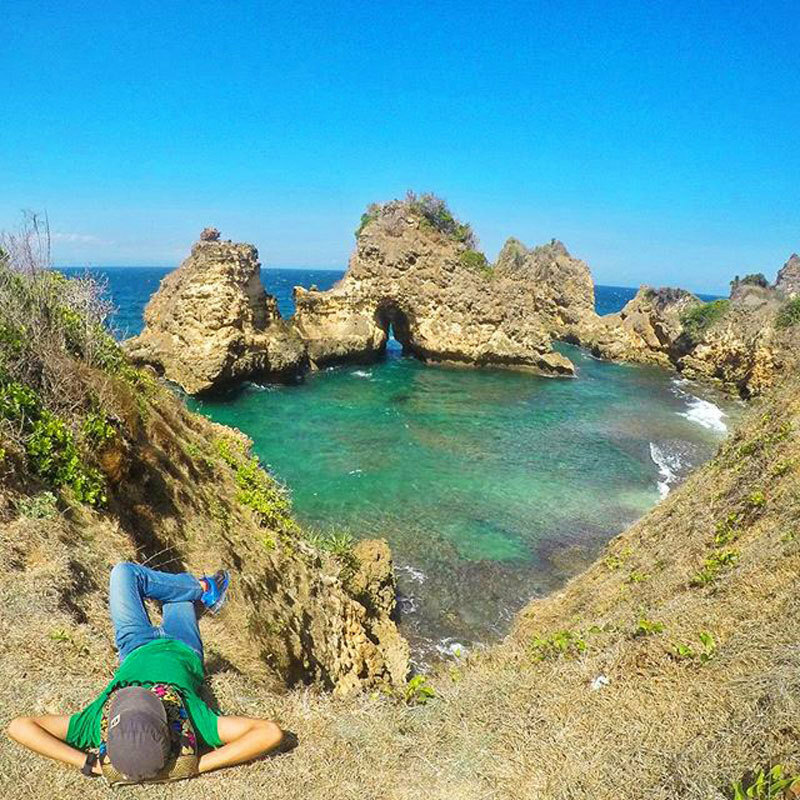 Tired of the white sand beaches and other natural attractions in Lombok? 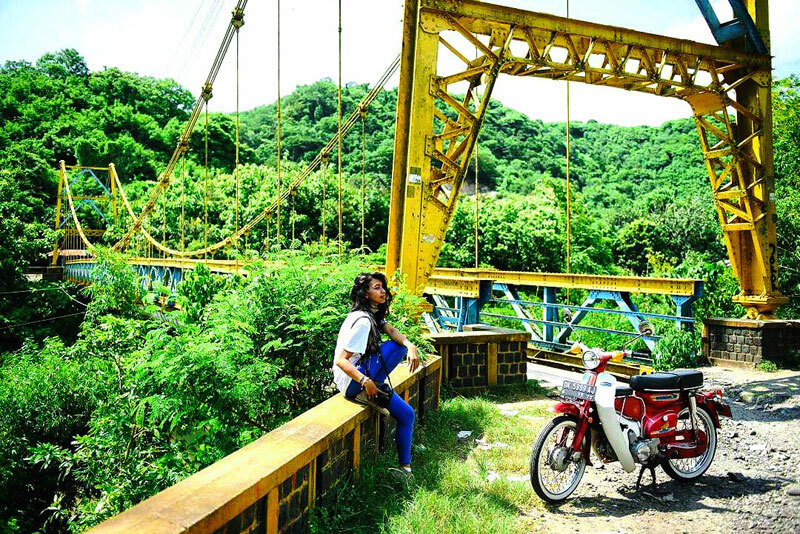 How about getting up close and personal with the island’s traditional culture and heritage? 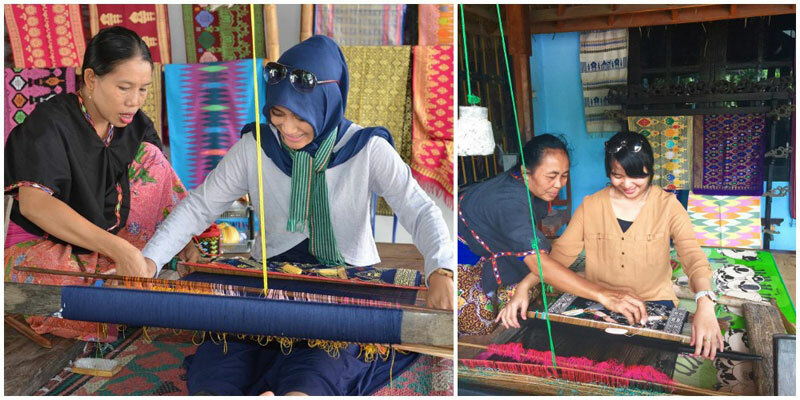 At Sukarara Village, one of the few villages left on Lombok, you can learn the traditional craft of “songket” (weaving) from the locals themselves. Having carried on the tradition of their ancestors, the village women are taught at a young age to weave beautifully patterned fabric, which is rich in colour. If you take a closer look, you will notice the traditional Sukarara motifs, such as the gecko. 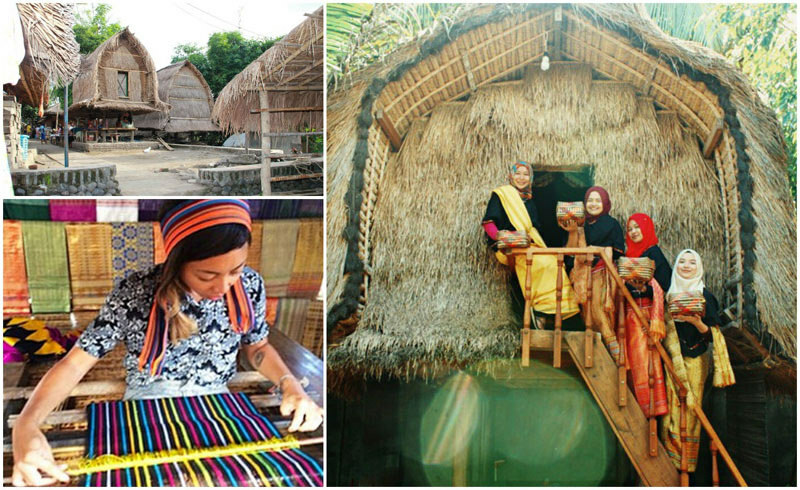 And when you visit, you too can step up to the loom and learn the traditional weaving techniques. 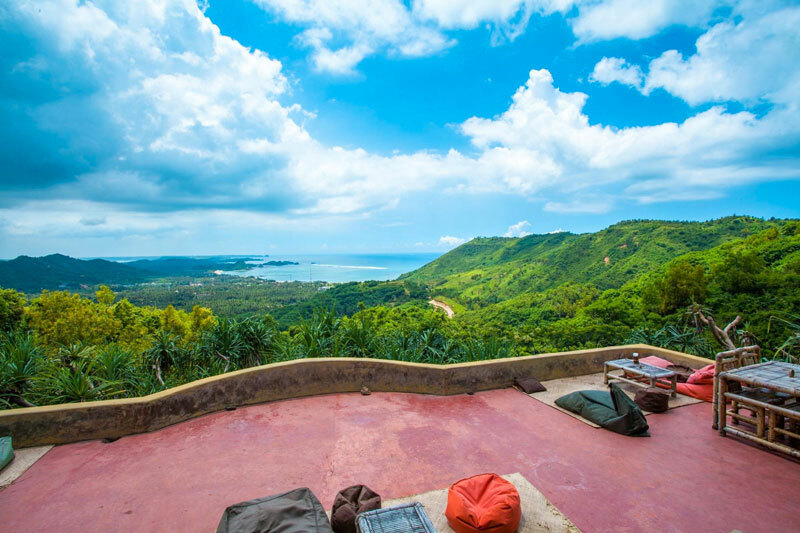 If you love massages, especially in Indonesia, you need to seriously consider the island’s exotic and traditional Sasak massage. We don’t want to scare you, but these massages are intense! You may have to endure some serious massage strokes, but the payoff is definitely worth it, when your tense muscles are all unknotted and you’ll feel much lighter in the following days. 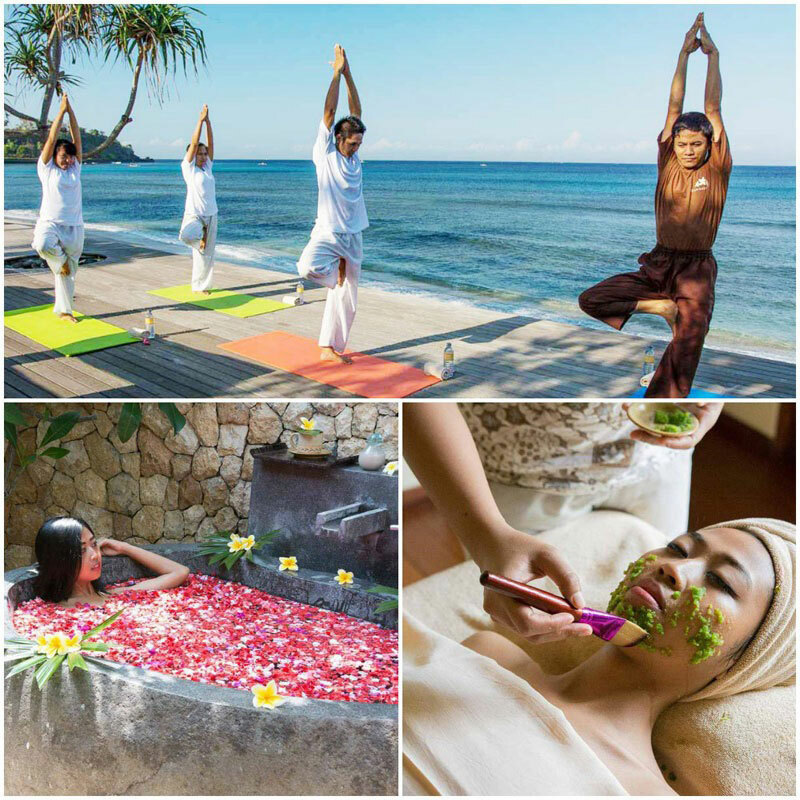 One of the best places to get a traditional Sasaknese massage is at Jeeva Beloam Beach Camp, at their Jeevinaya Massage Beruga Spa, which offers the Ngurut Sasak Sasaknese Lombok Massage. The massage entails 60 to 90 minutes of skin rolling, thumb and palm pressure, stretching, kneading, acupressure, and more. But we can’t emphasize this enough – do only try it out if you are accustomed to very strong therapeutic pressure massages. 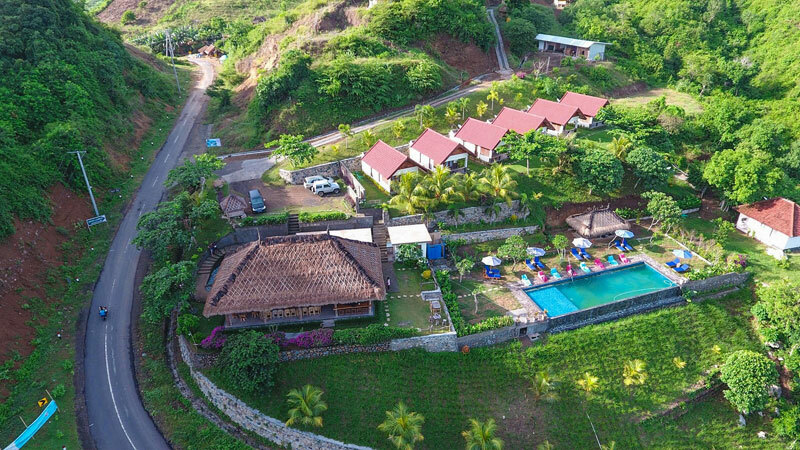 The Beach Camp itself is located in the heart of a 55-hectare nature forest reserve, so it’s the perfect spot to escape for a tranquil retreat. 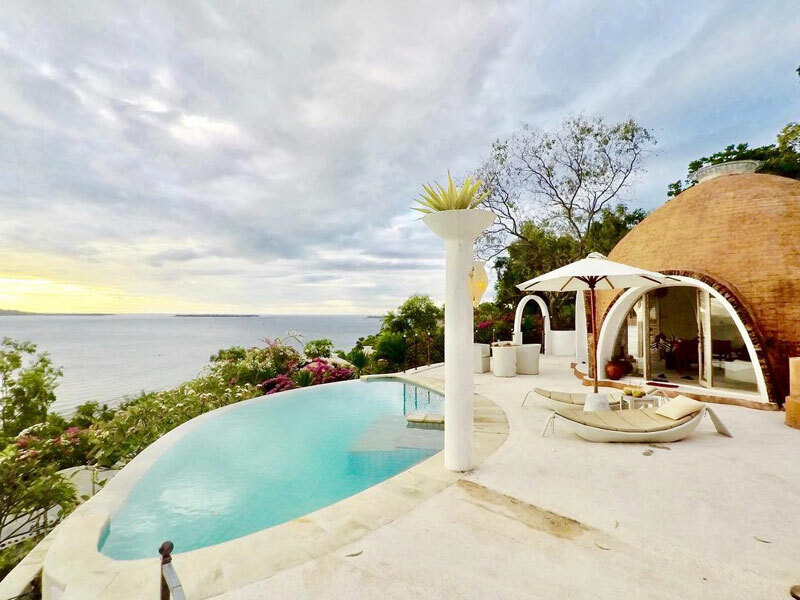 Built from wood, bamboo and alang alang, the villas (or what they call the “Beruga Pantai”) were inspired by the indigenous Sasak fishing villages. But the interiors are decked in modern and comfortable homeware and decor. 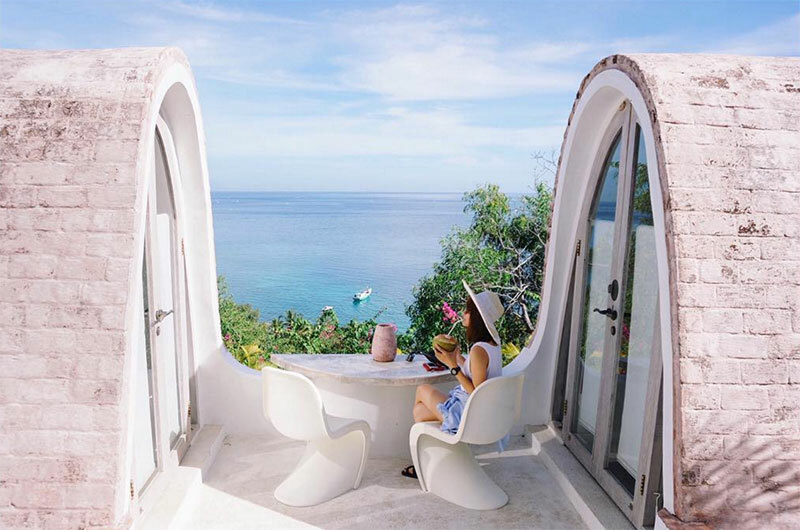 As the Beach Camp is perched on a sand dune that overlooks a private beach, you can even get an unobstructed view of the sea right from your room! 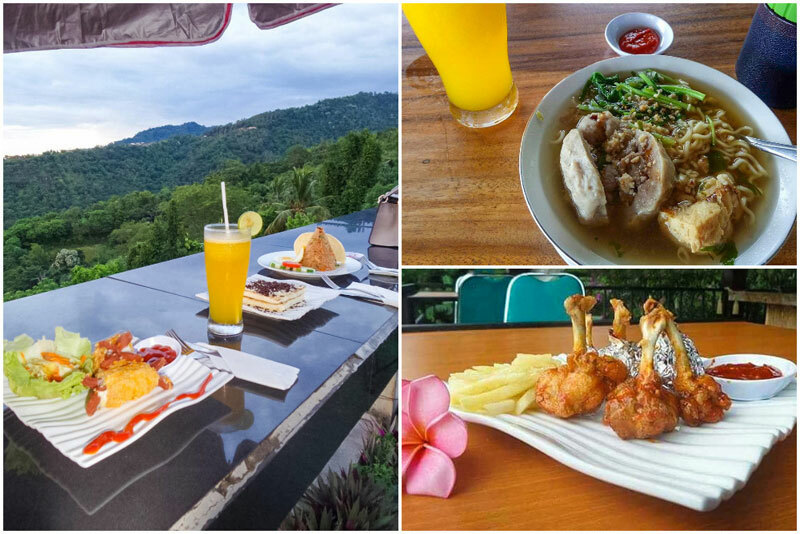 Love dining with a view? 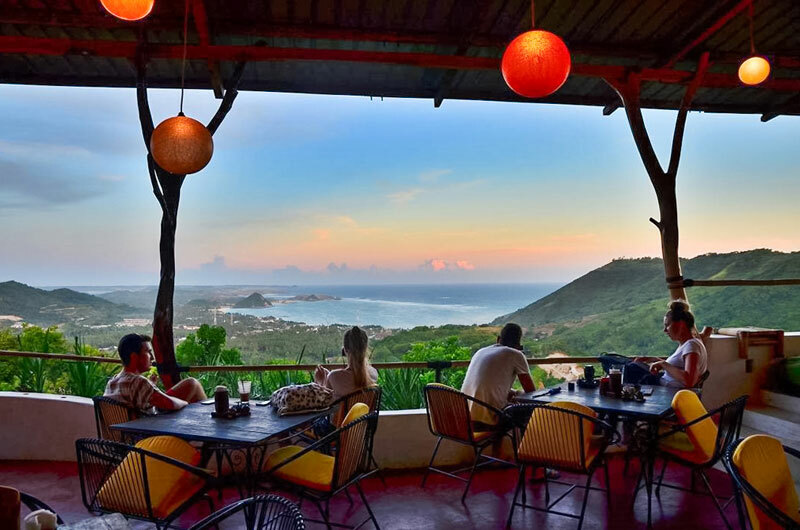 Whether you’re on holiday with family, friends, your significant other, or even by yourself, it’s hard to beat an evening overlooking the ocean with a glorious plate of food. 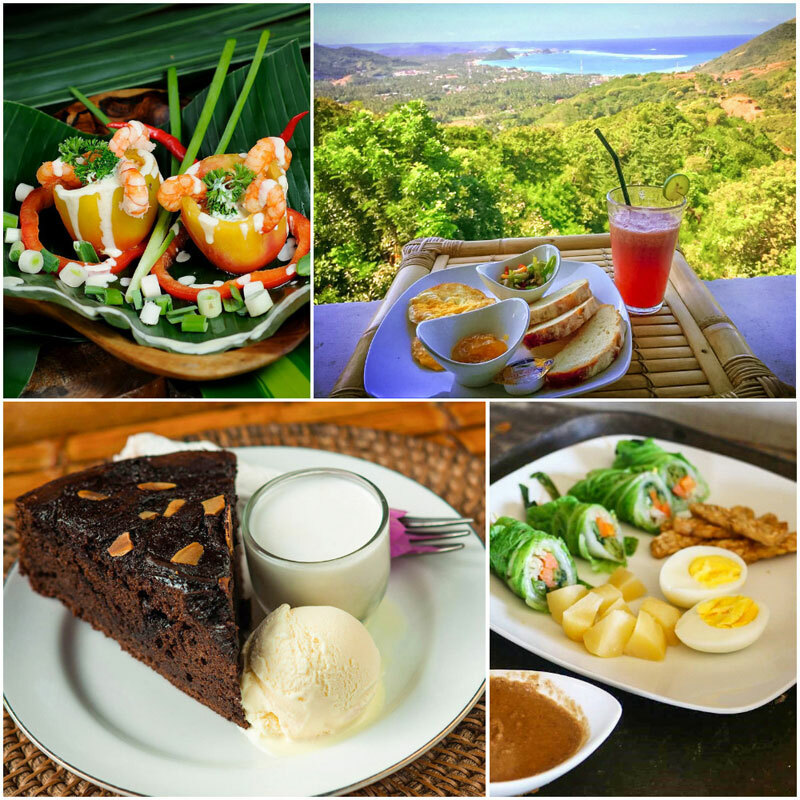 Around Lombok, you’ll find some delectable restaurants with extraordinary views. 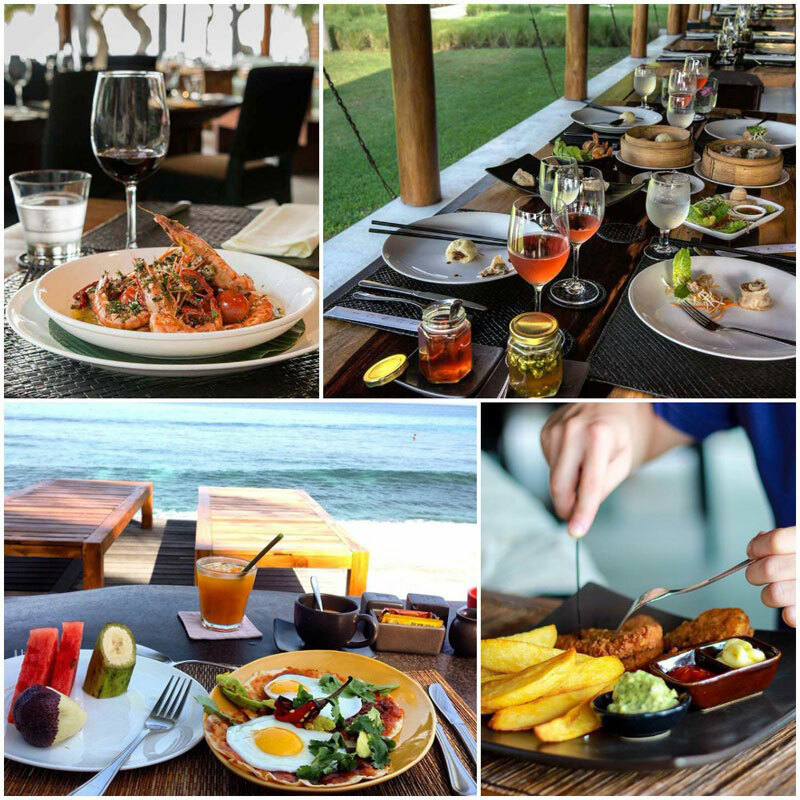 So to save you from having to do the extra research, we’ve narrowed down the three best seascape restaurants! 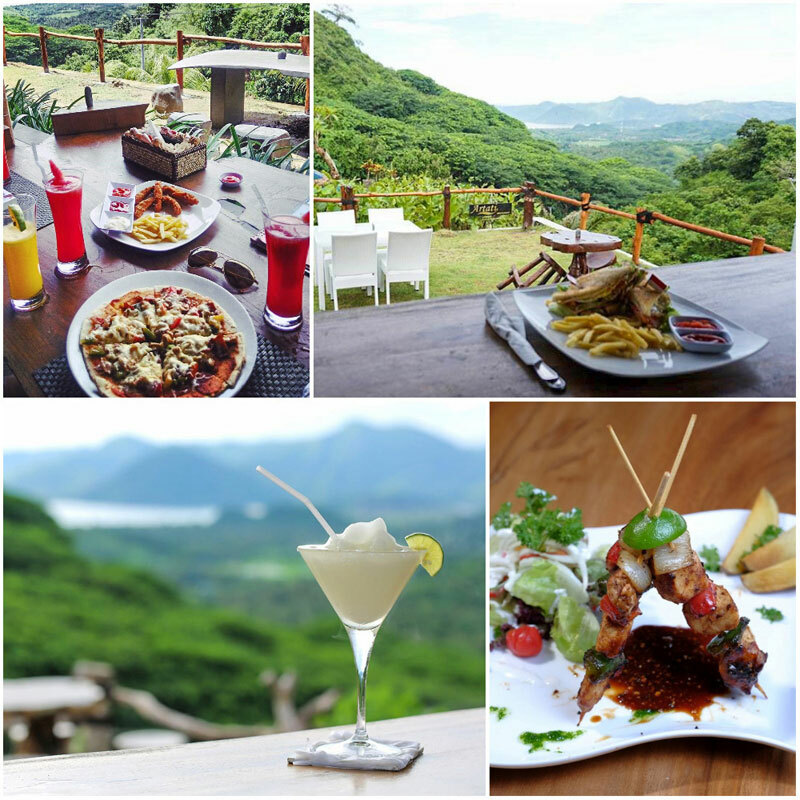 Check out our other recommendations where you can dine with magnificent views in Lombok! 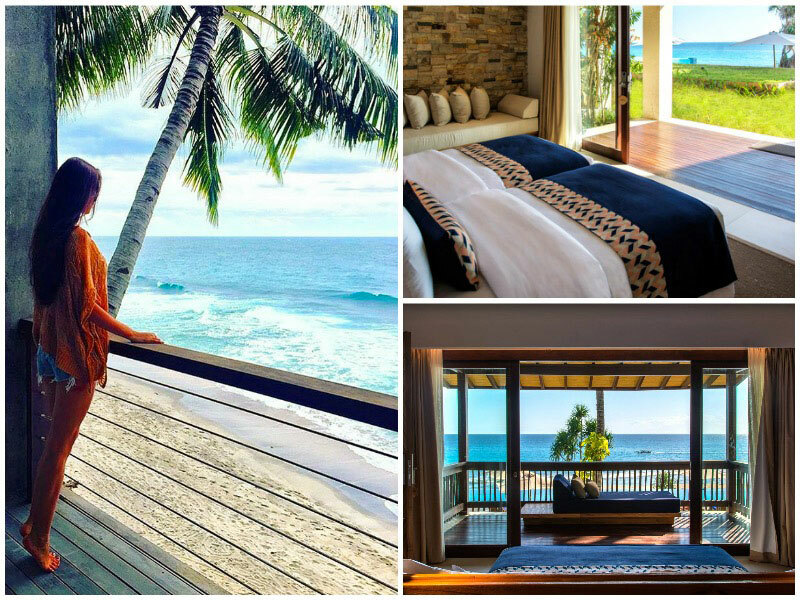 Want to wake up to the soothing views of the vast blue ocean? 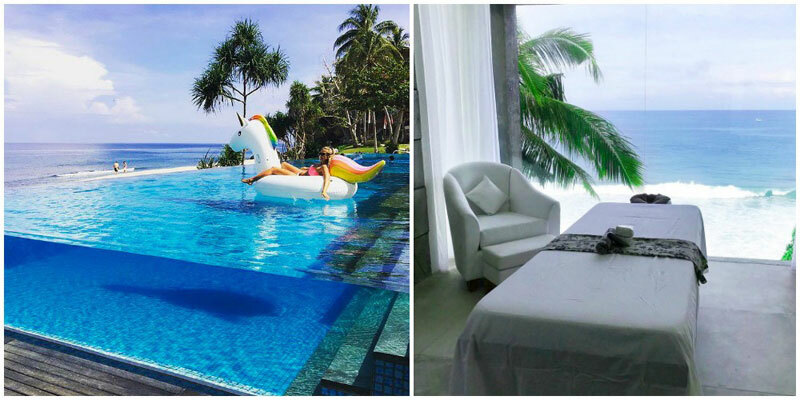 You don’t need to pay a hefty sum to be able to indulge in these dreamy luxuries. 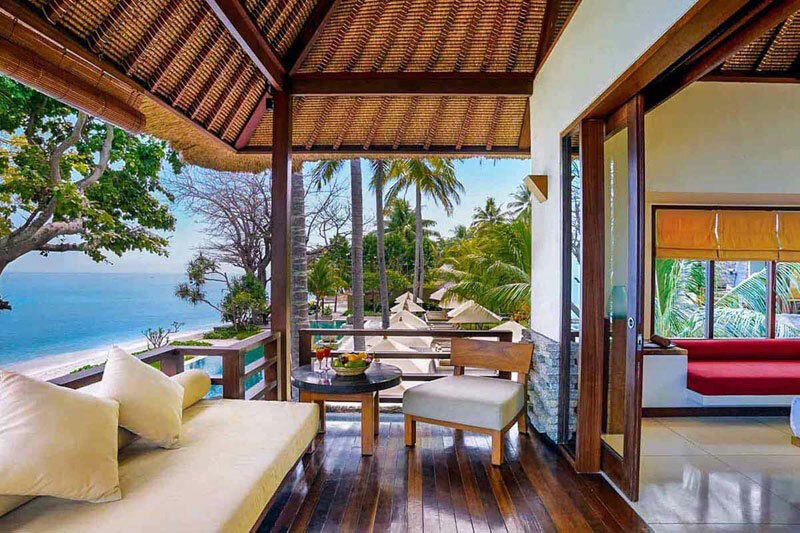 Check out our recommendations for affordable luxury beachfront villas in Lombok, where you can bask in stunning views from your room! 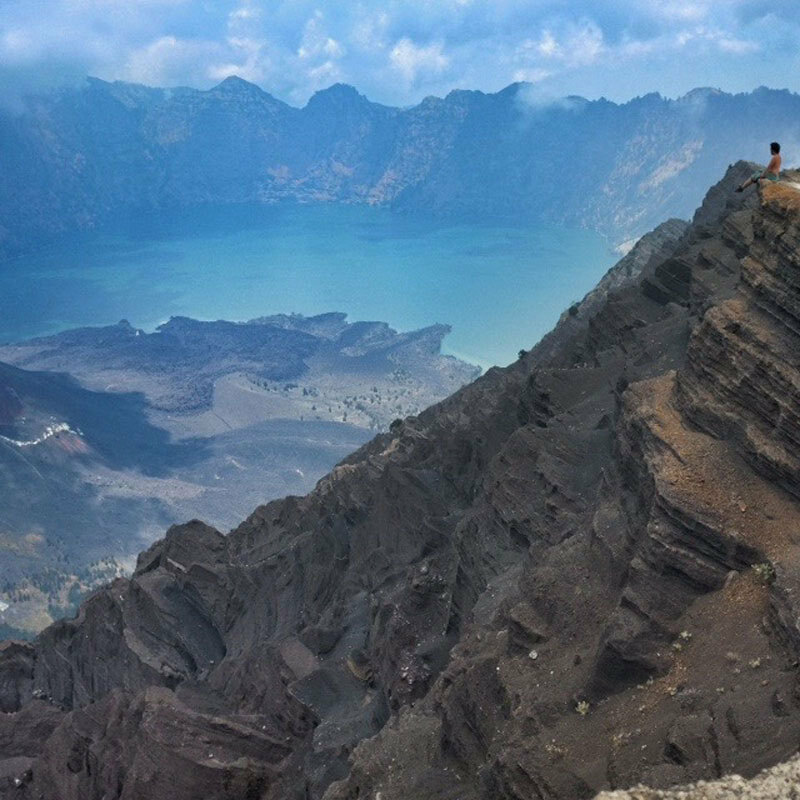 So maybe you don’t want to climb Mount Rinjani, we understand, we don’t judge. 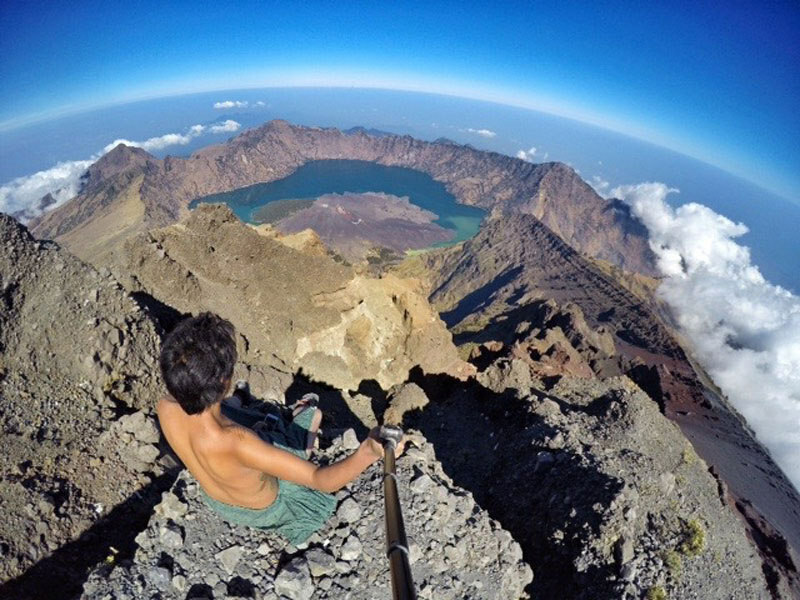 Would you prefer to admire the view of Rinjani from the bottom of the volcano rather than the summit? 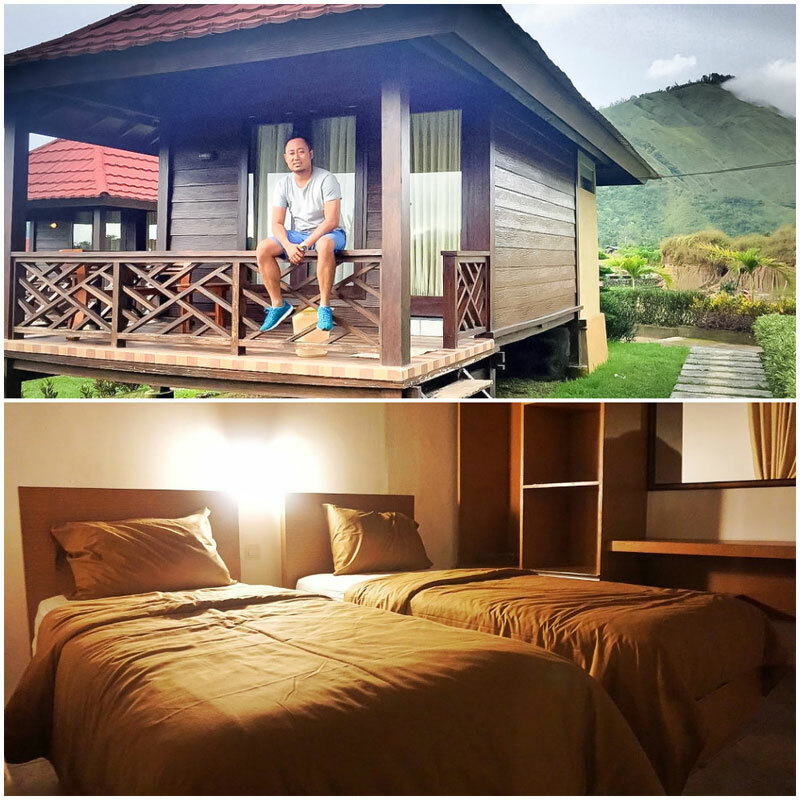 If so, a hotel in Sembalun Village is what you need. 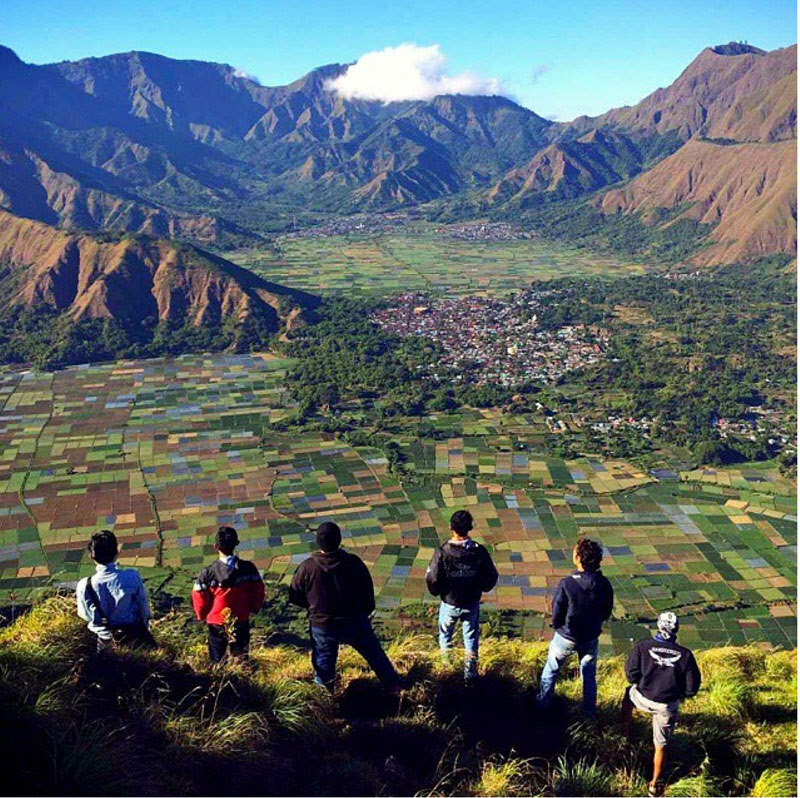 This village is located at the base of Rinjani, and boasts of a beautiful and tranquil countryside. 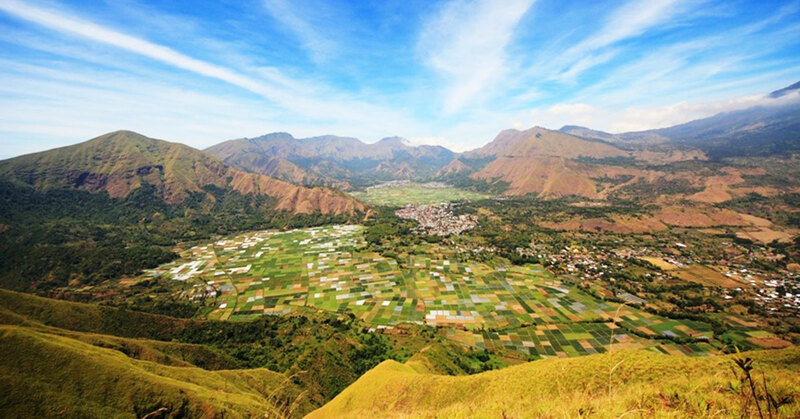 Even if you are planning to trek up Rinjani or heading back from your hike, Sembalun is a convenient location for you to rest up. 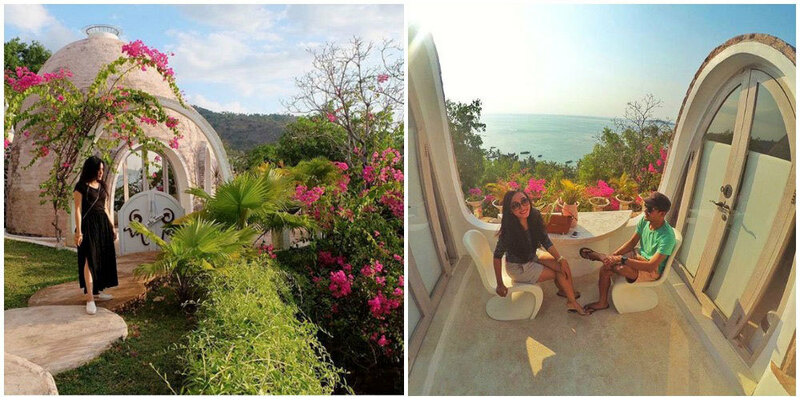 And what can be better than a stay with such a majestic view? 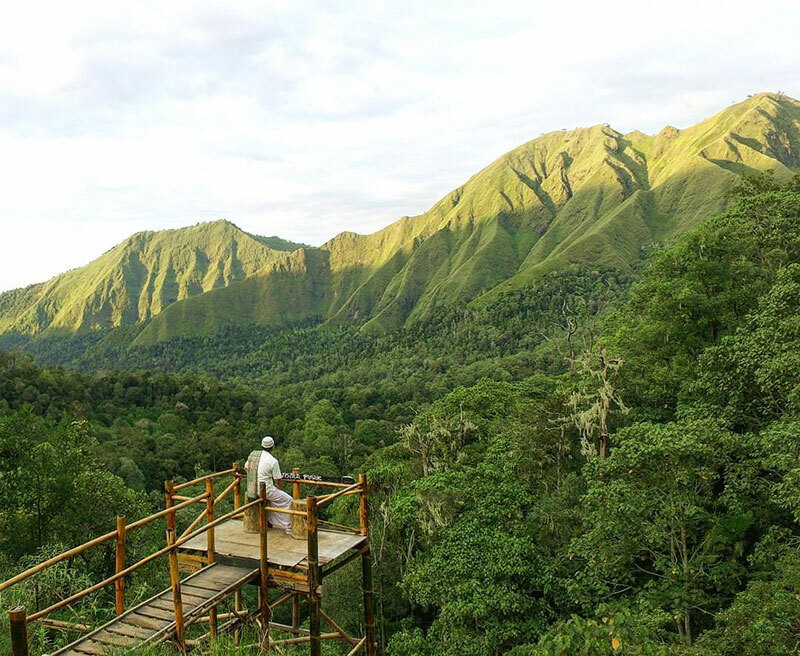 Although former guests have warned that the road up to Nuansa Rinjani might be a little confusing, the views make up for any inconvenience. 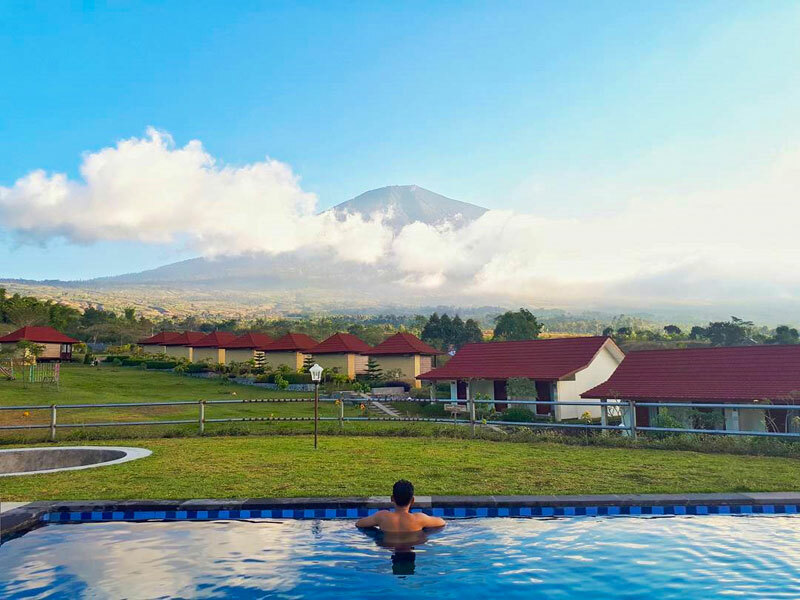 Nuansa Rinjani is the perfect place to stay if you’re looking for a quiet, relaxing environment among the mountains. 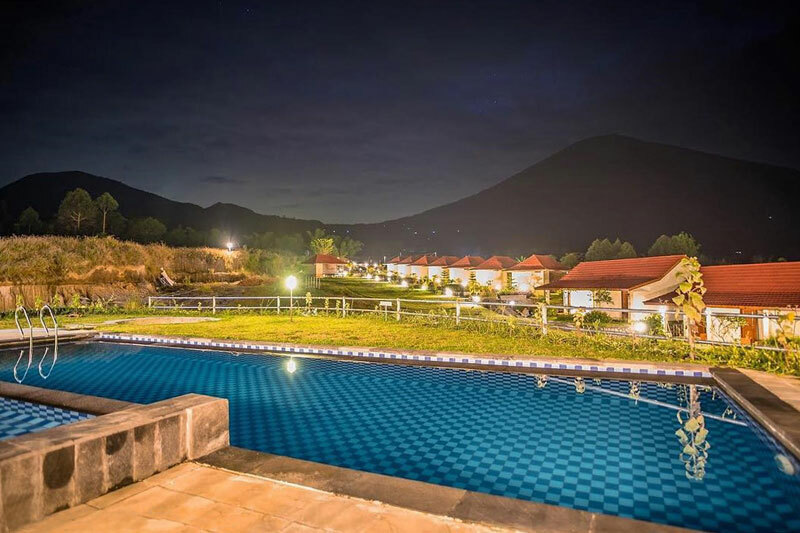 The hotel is located on a farm in Sembalun Village, where you will be blessed with majestic views of the surrounding hills. 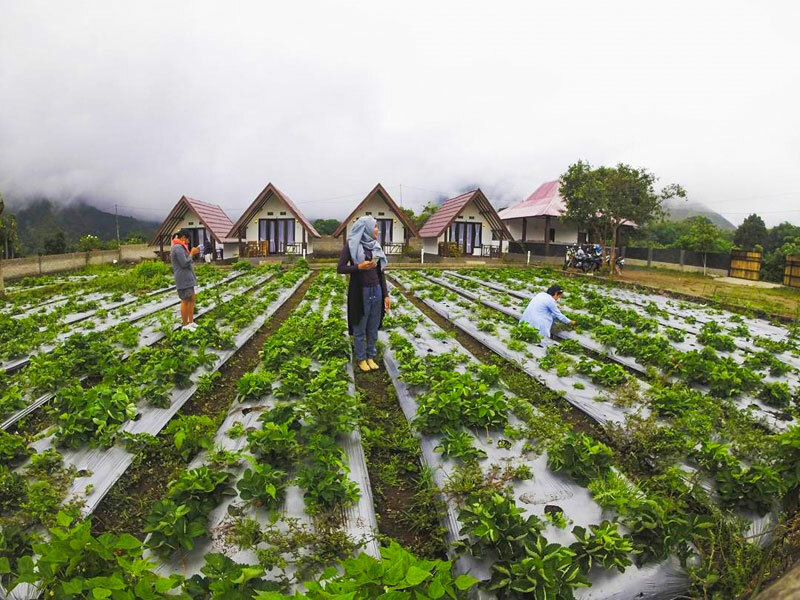 Take a walk through the garden – you may find ripe-red strawberries and other carefully cultivated produce. 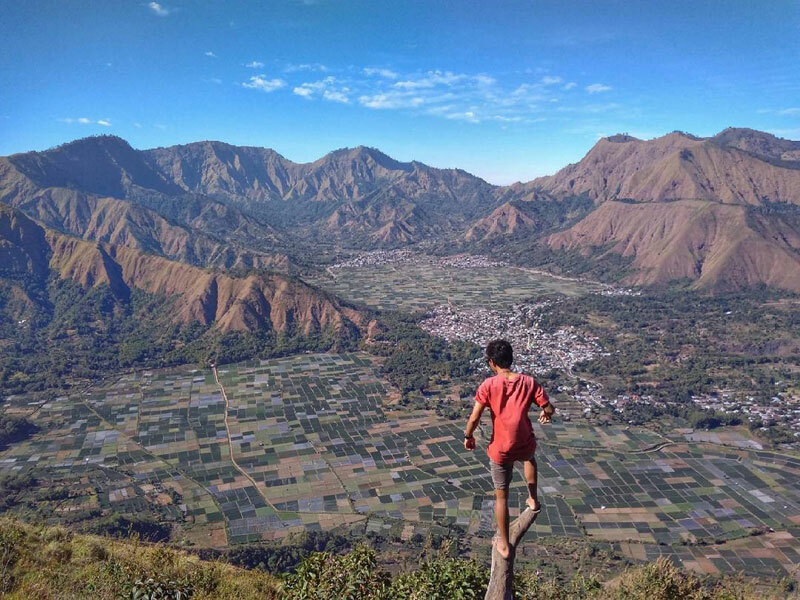 Who knows, with such a view of Rinjani here, you might even be motivated to hike the nearby Mount Pergasingan to watch the sunrise over the volcano – a spectacular sight! 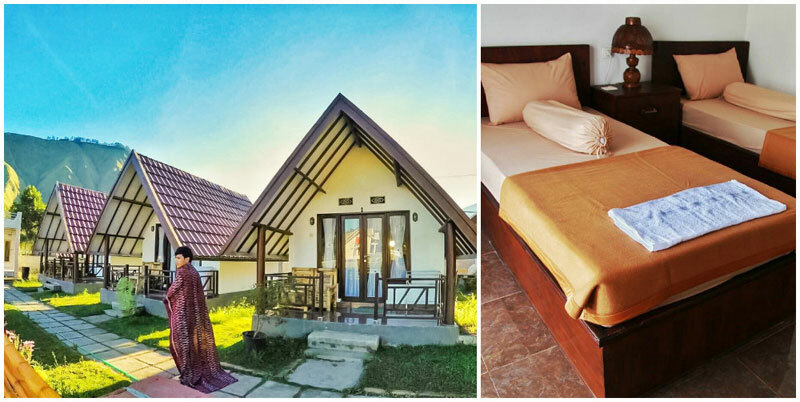 Located in the cool mountain village of Sembalun is Rudi’s Villa, which offers a selection of accommodation options – you can find everything from a bed in a dorm room to a private bungalow. 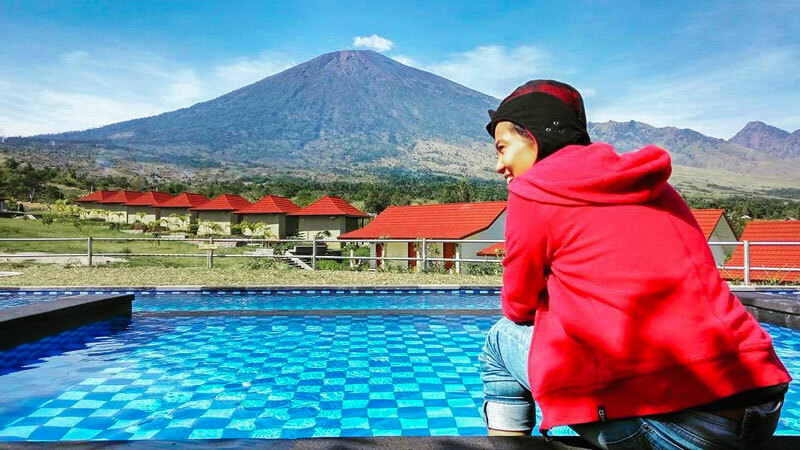 What can be better than enjoying a morning dip in the pool, where you can stare at the majestic unobstructed view of Mount Rinjani right in front of you? 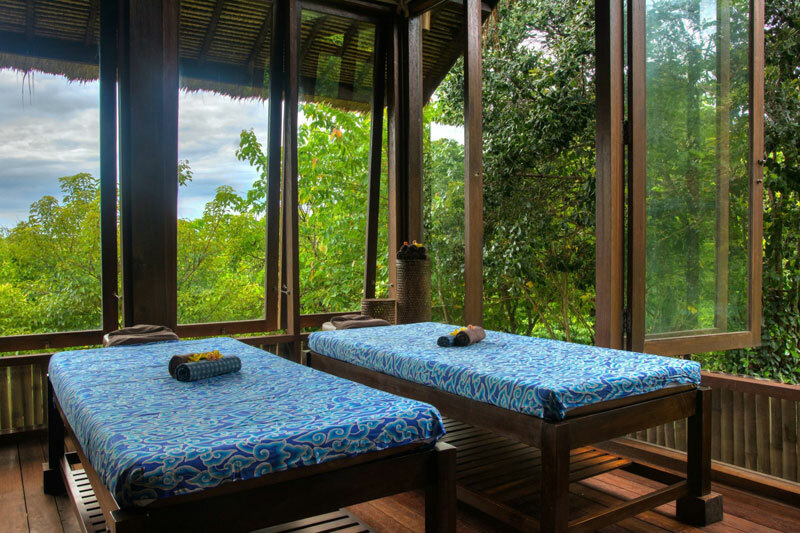 This is the perfect place to get some rest, especially if you are returning from a Rinjani trek! 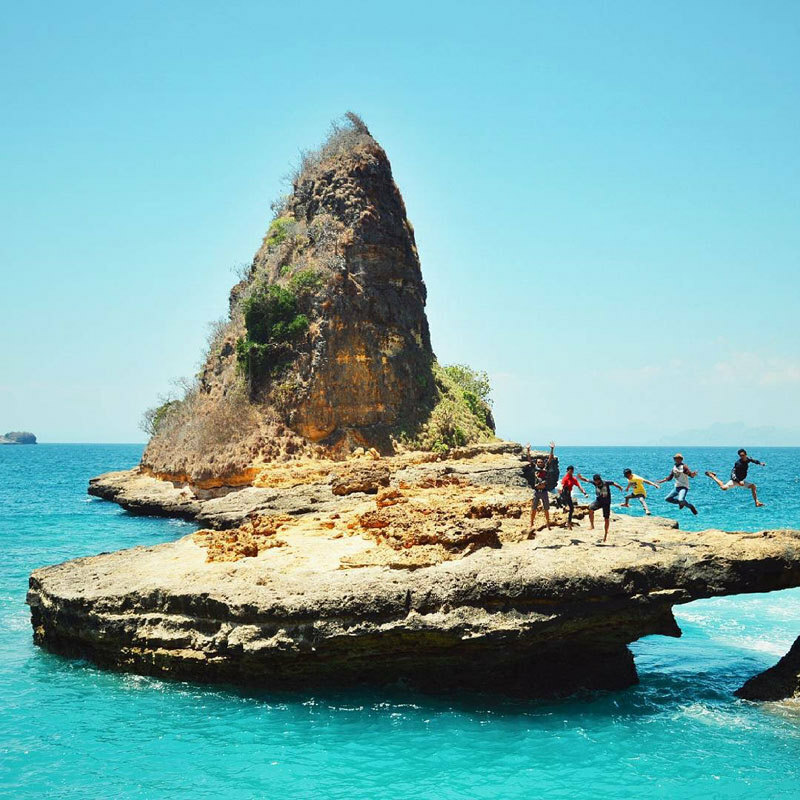 Have we inspired you to take that leap of faith and travel to Bali’s lesser known sister, Lombok? 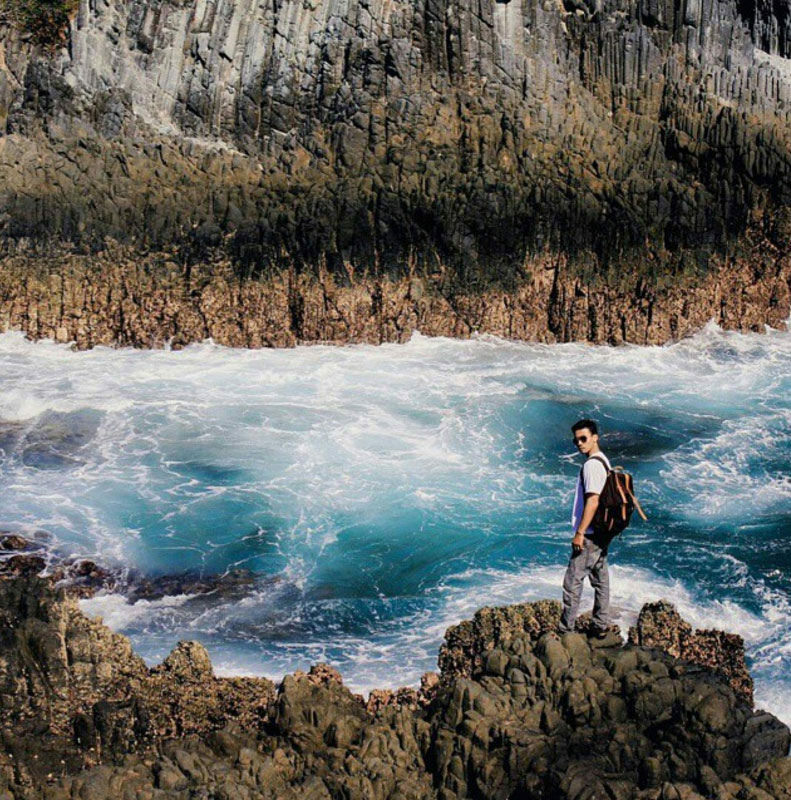 Put on your adventurous spirit and explorer cap – it’s time to go! 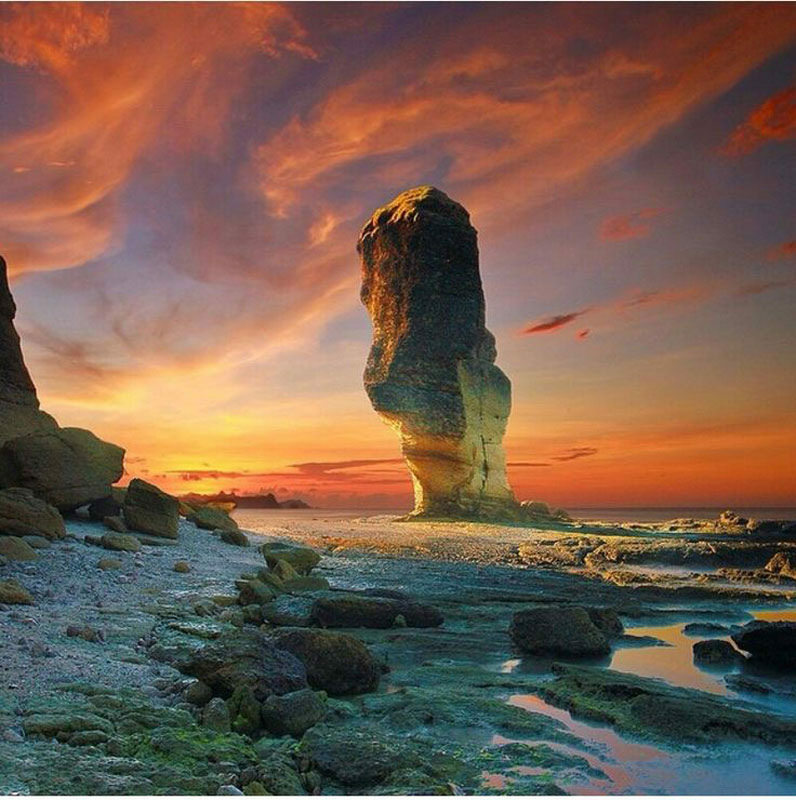 Where in Lombok would you love to visit? Share with us!